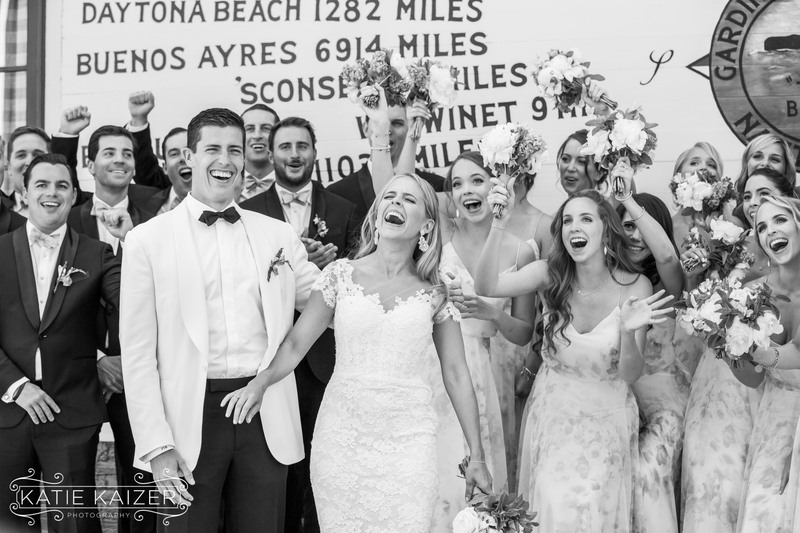 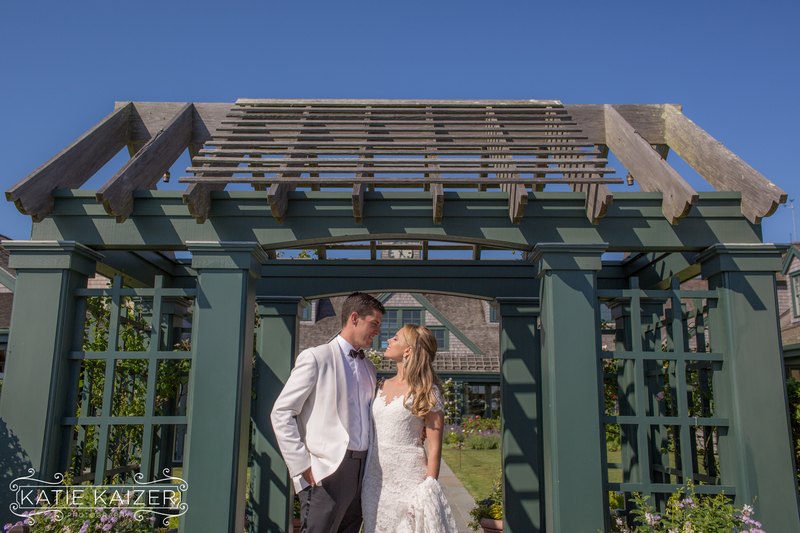 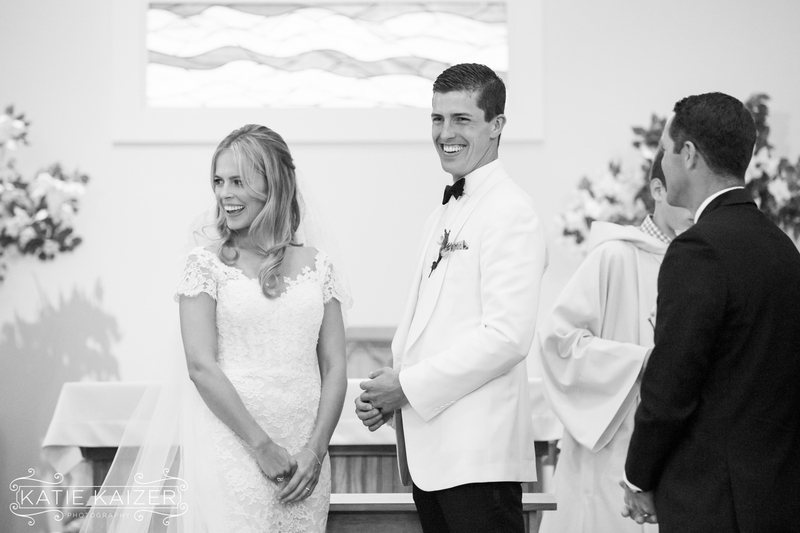 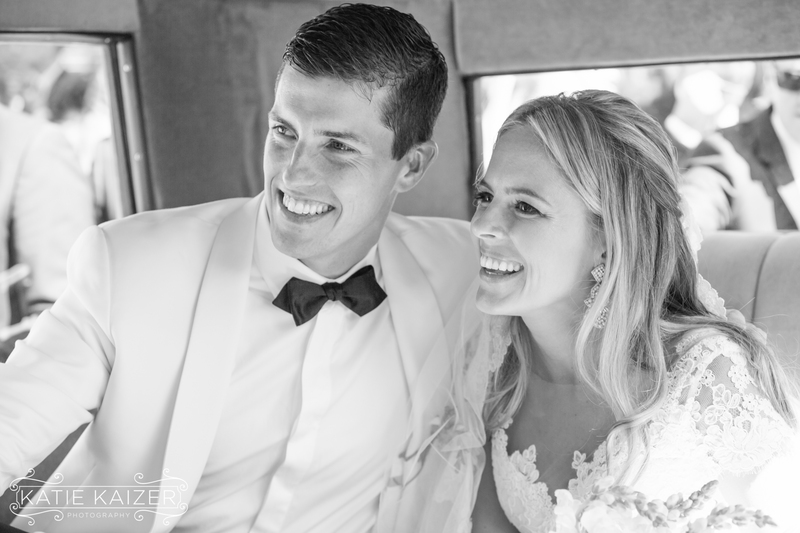 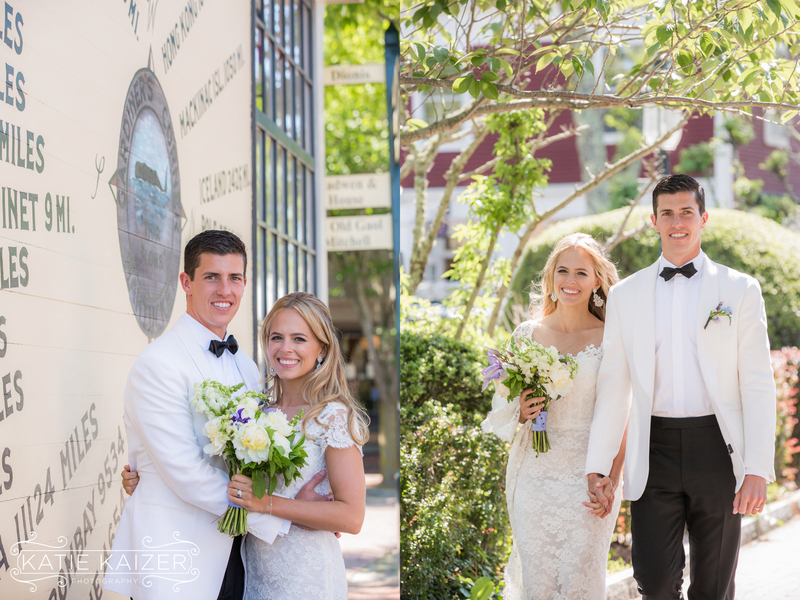 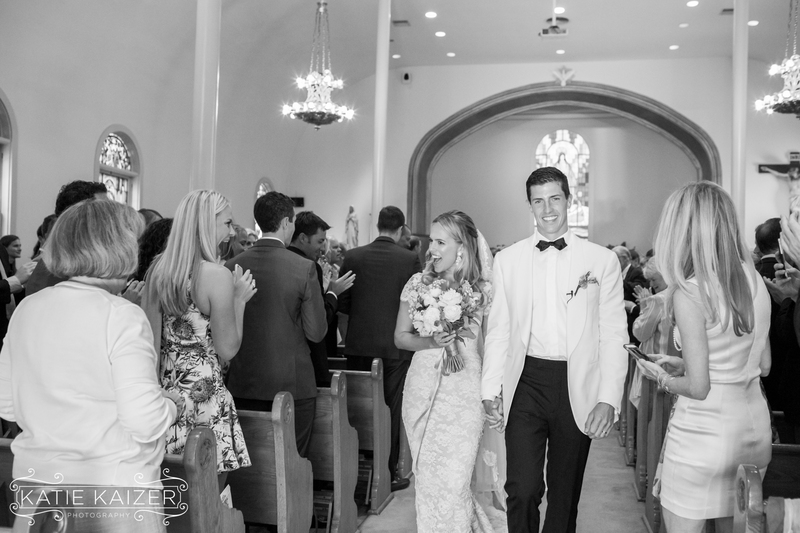 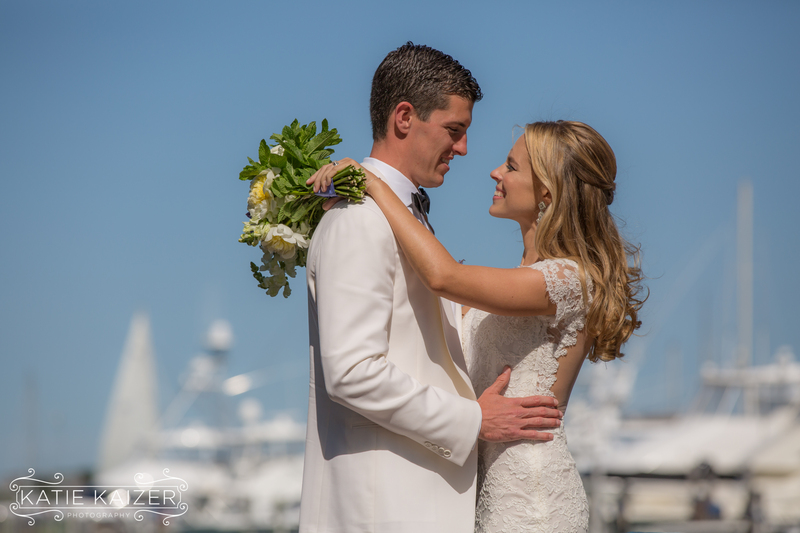 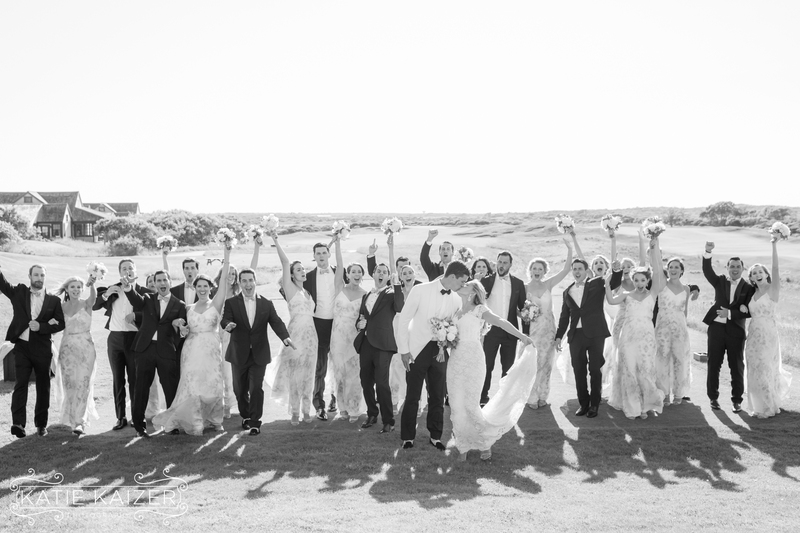 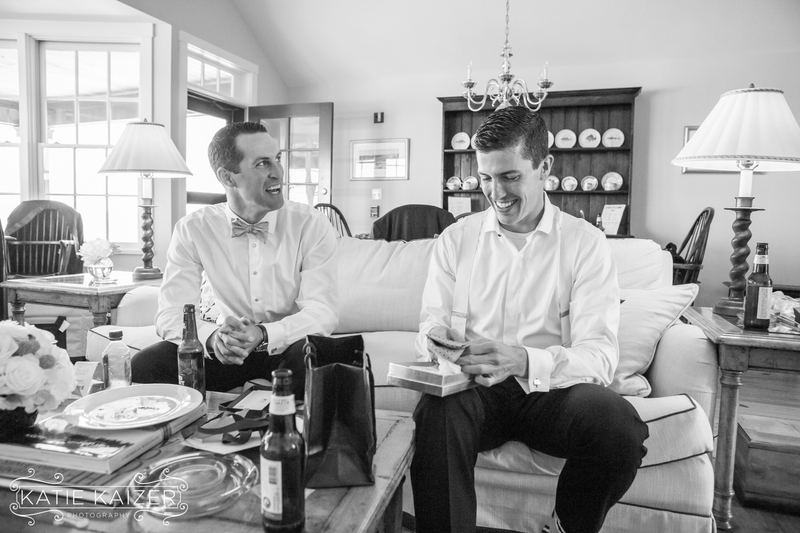 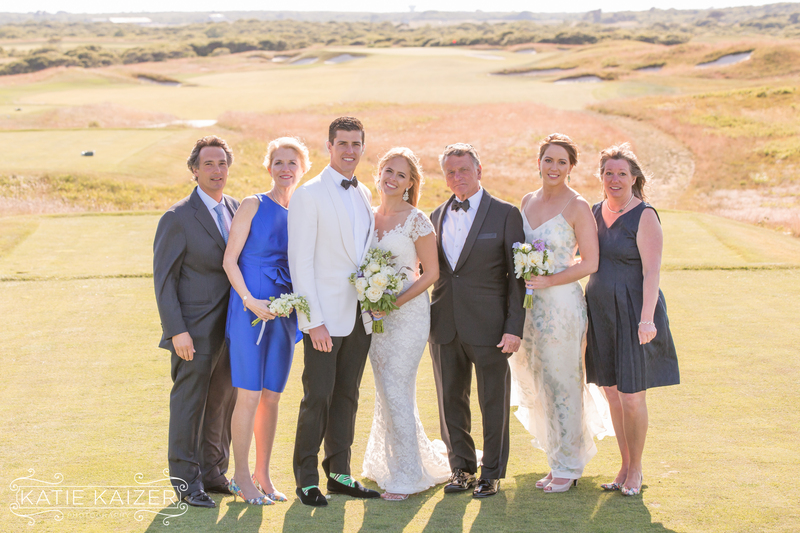 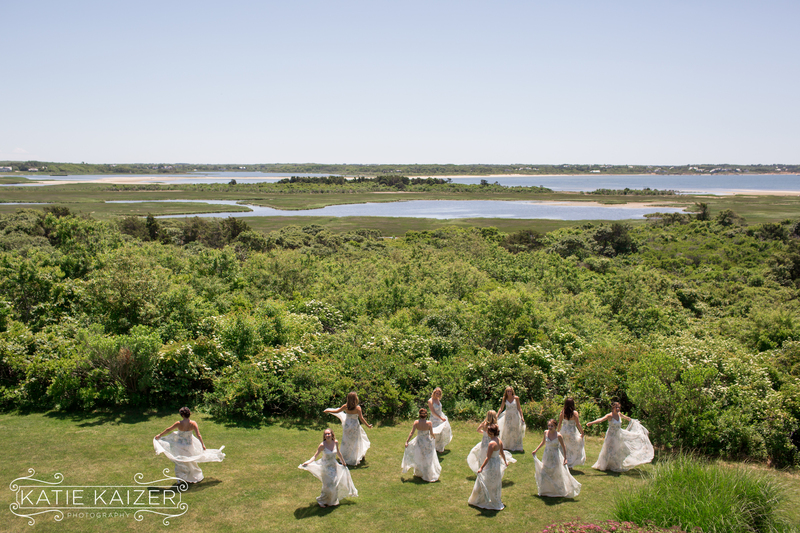 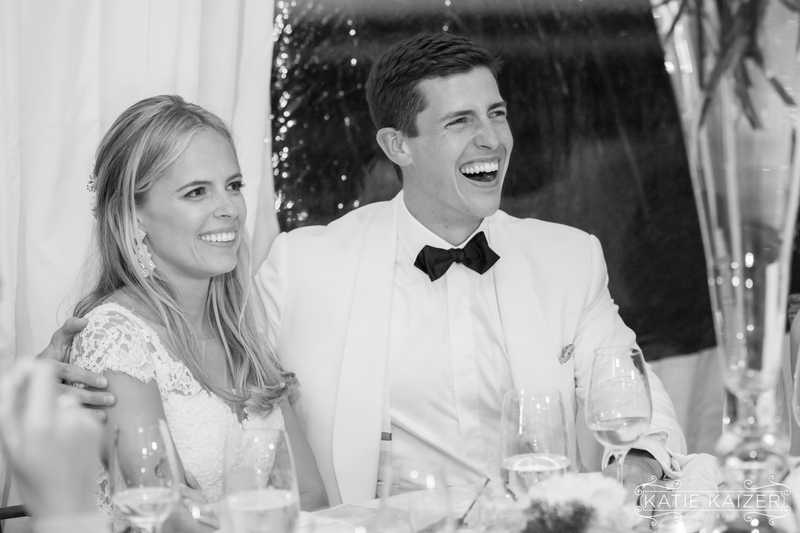 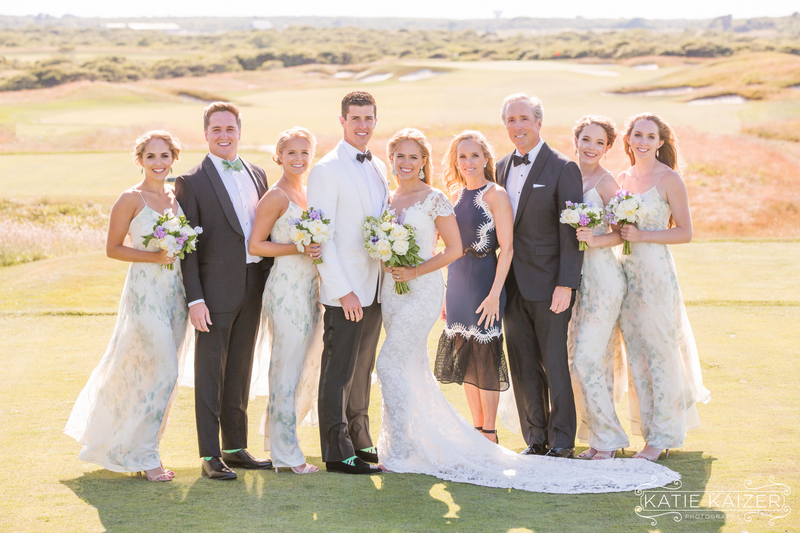 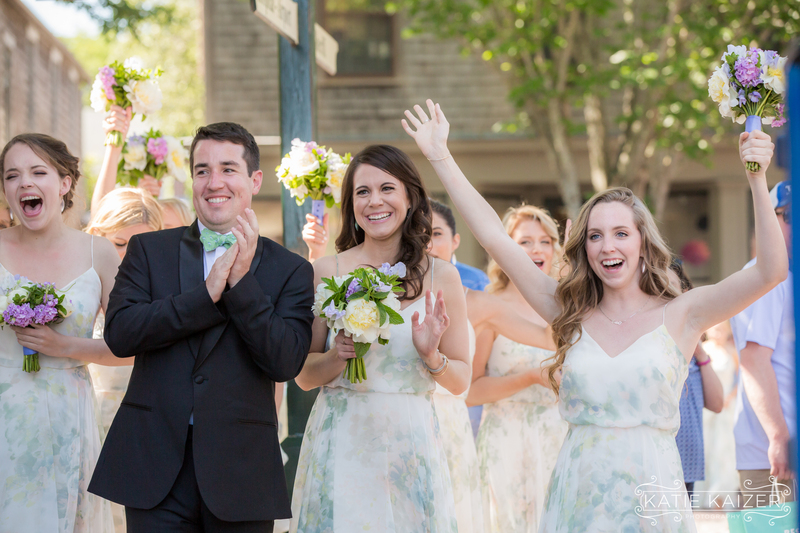 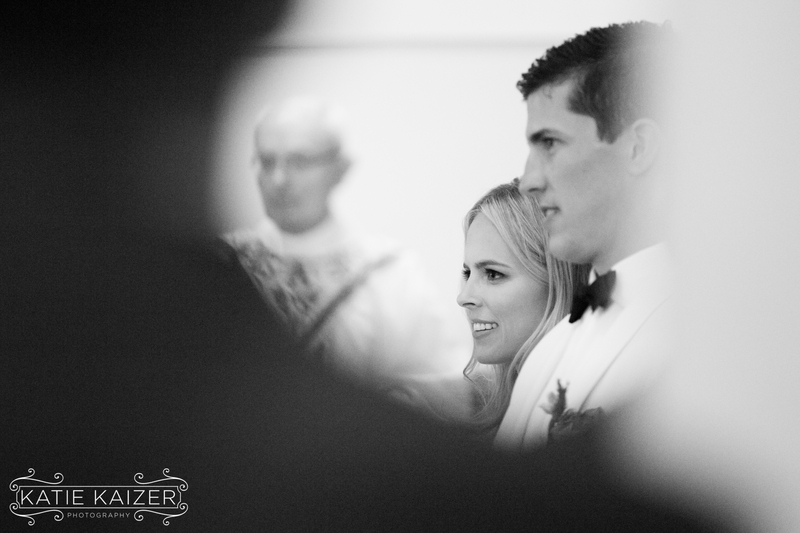 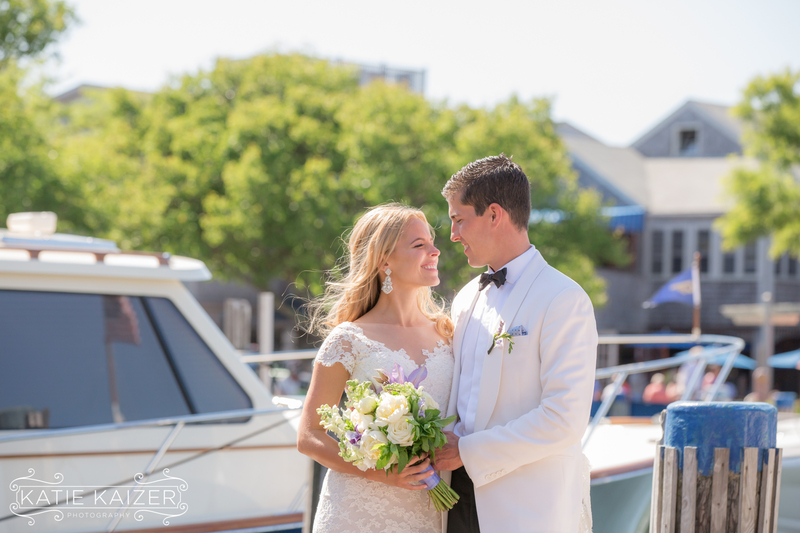 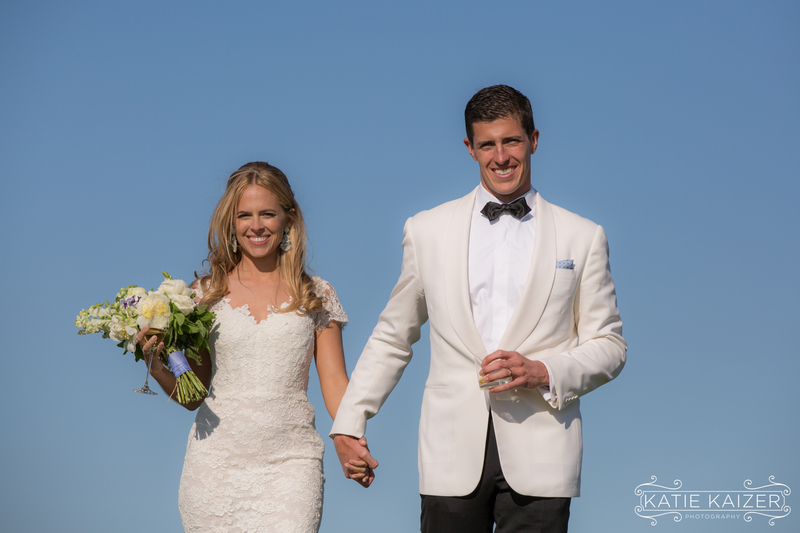 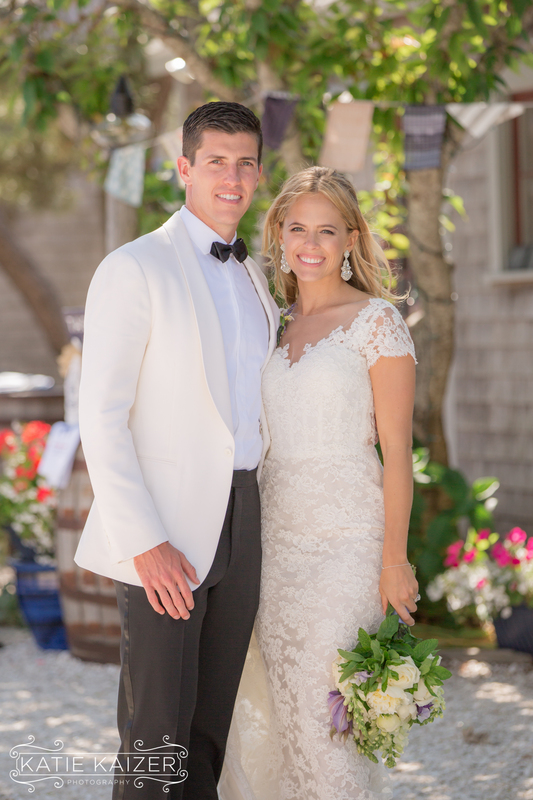 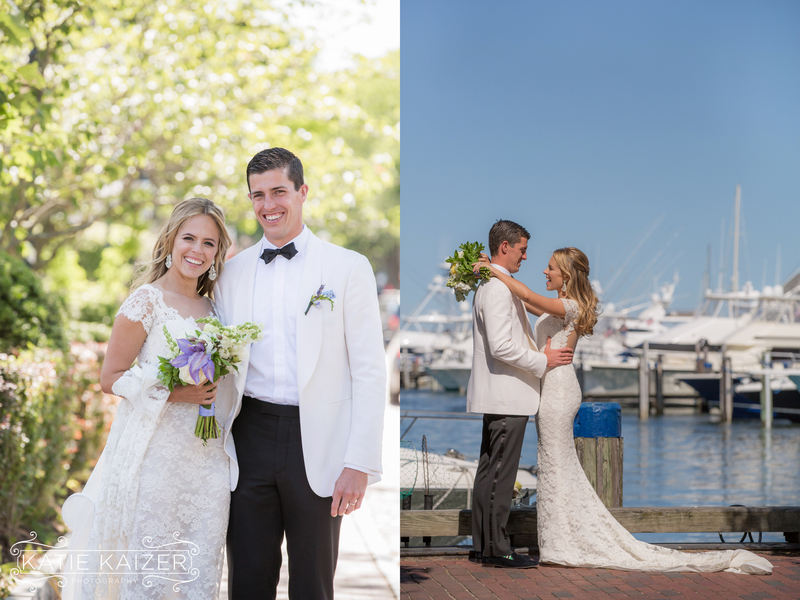 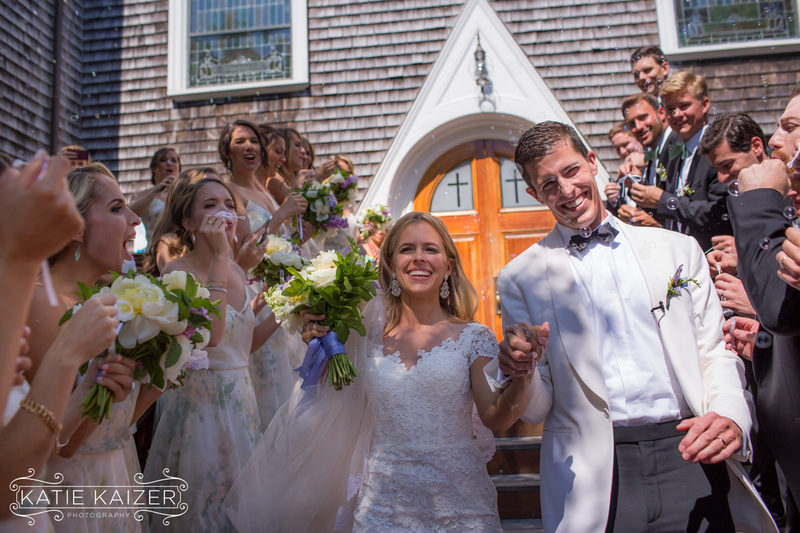 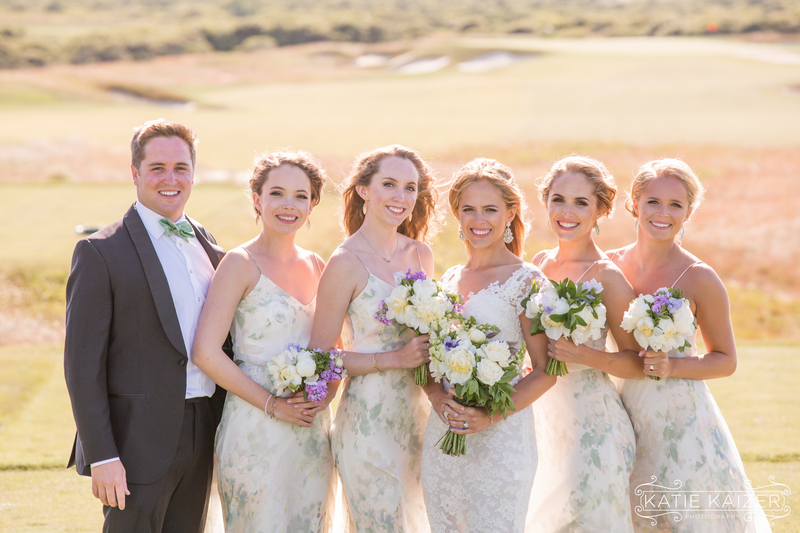 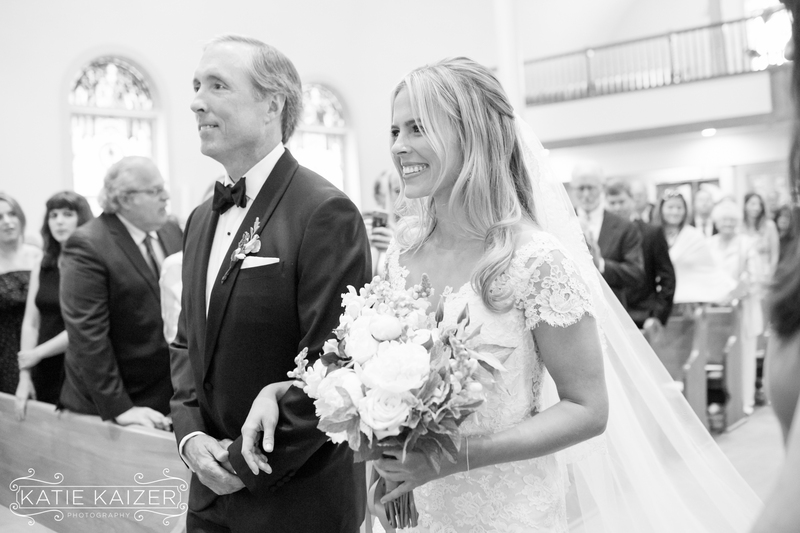 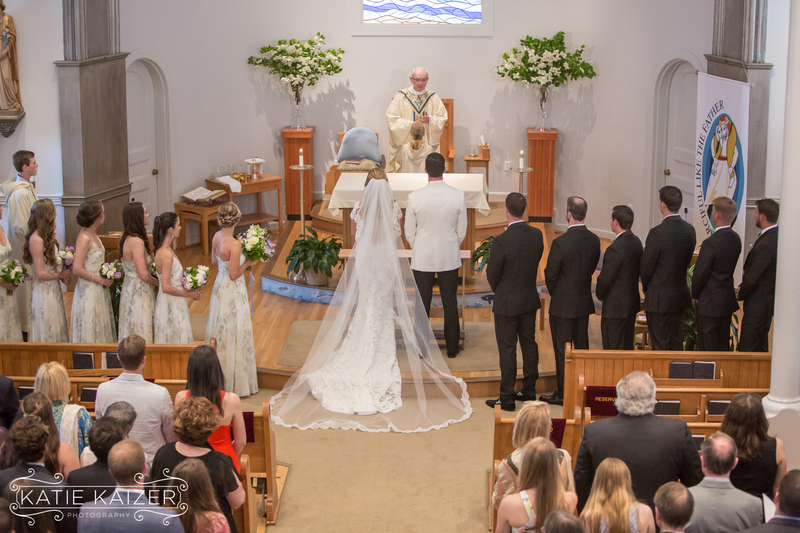 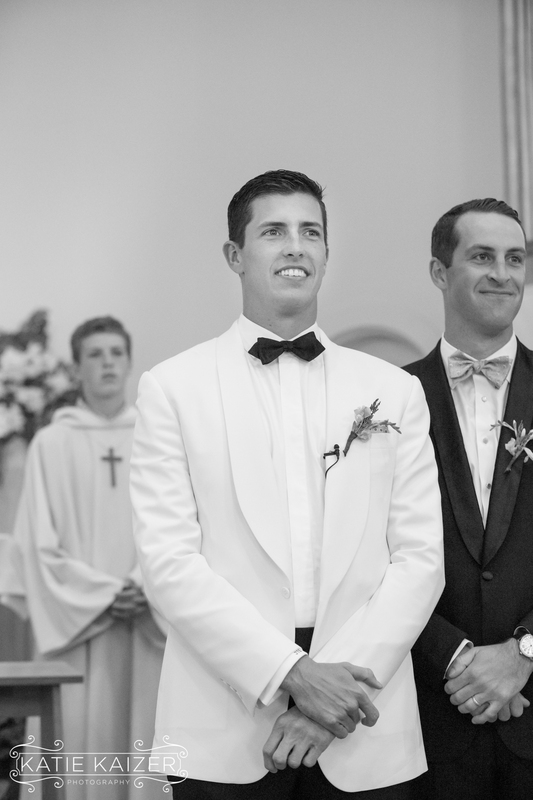 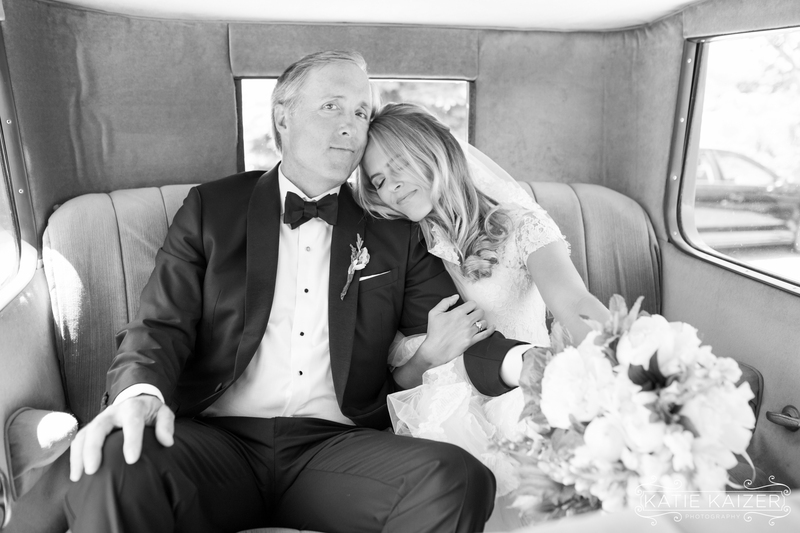 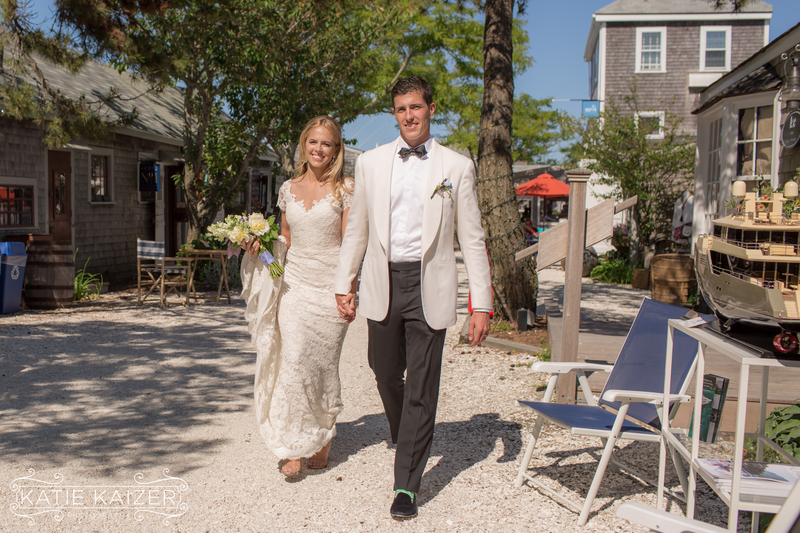 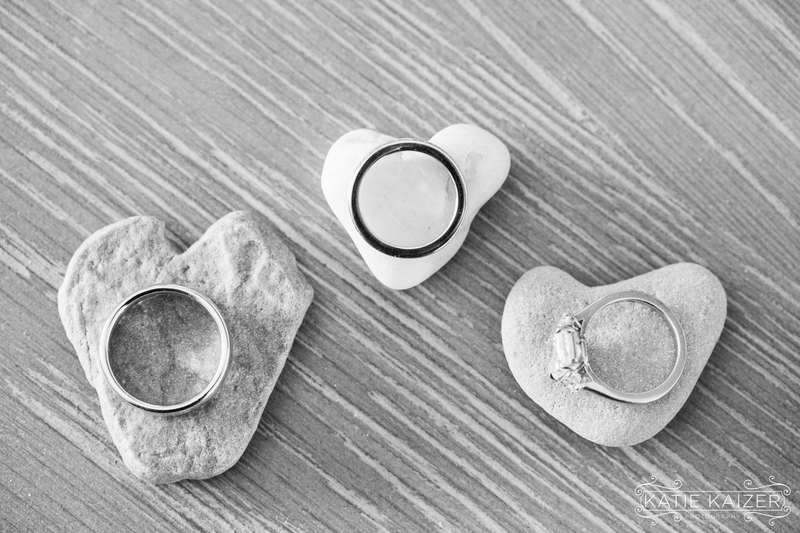 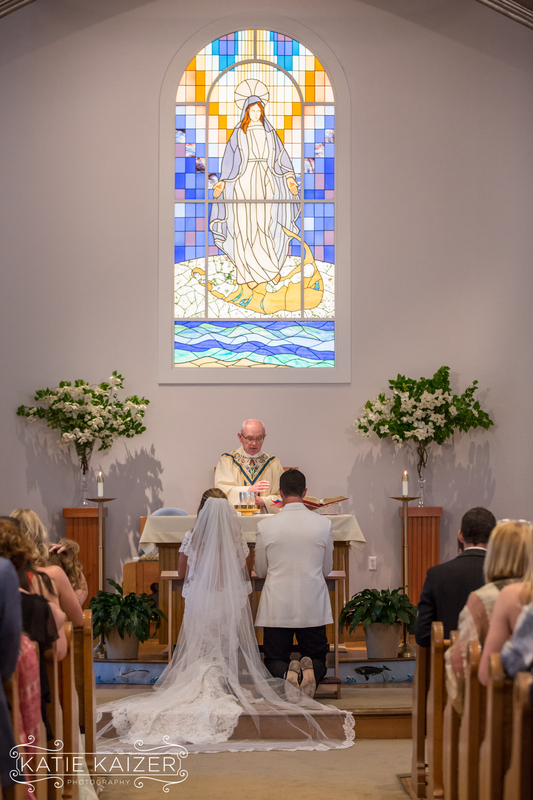 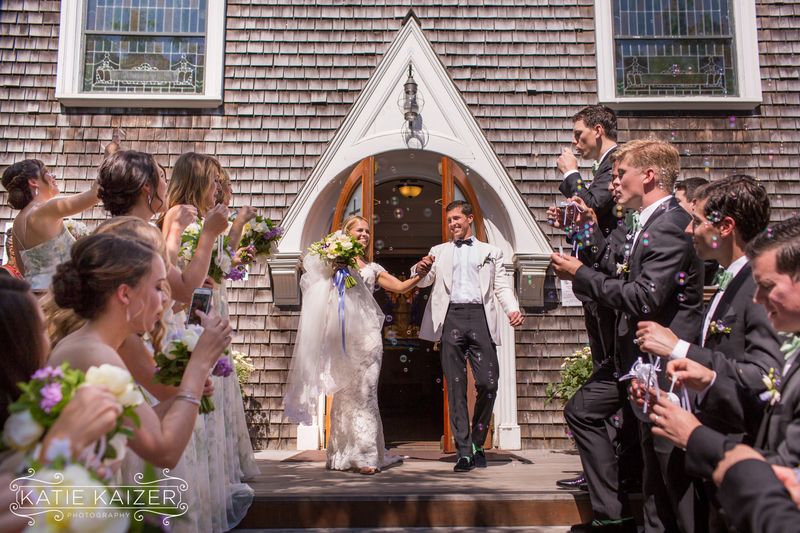 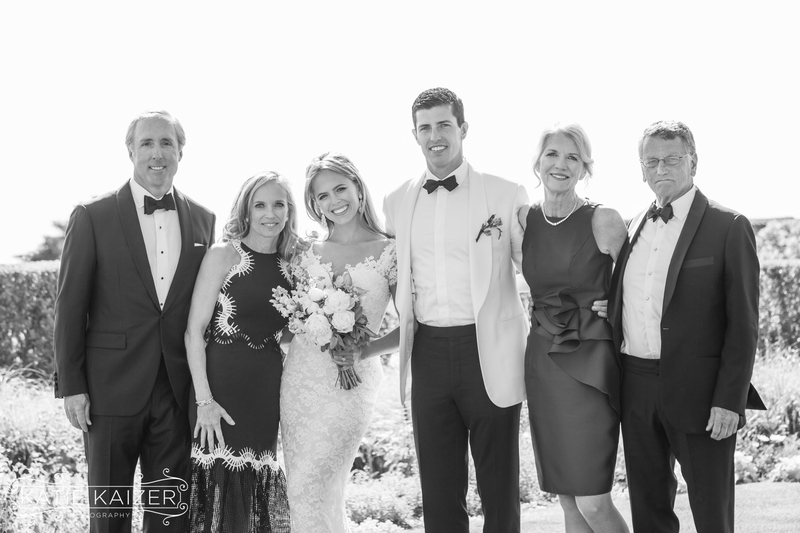 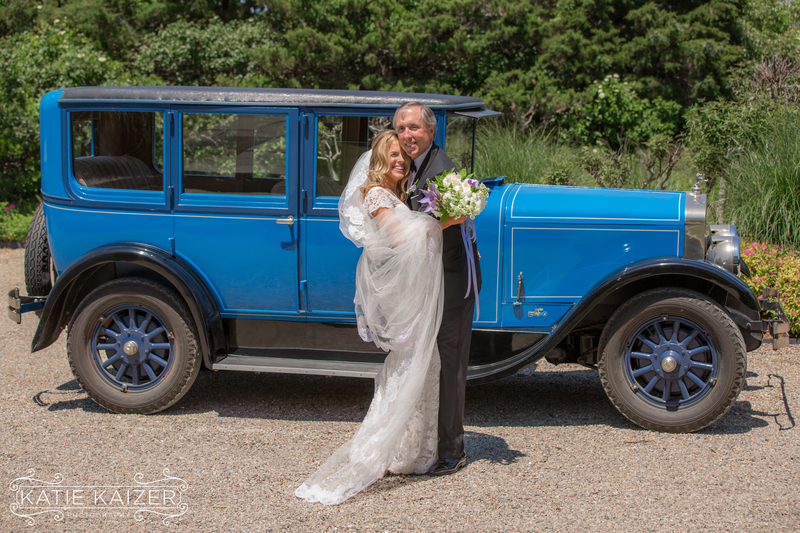 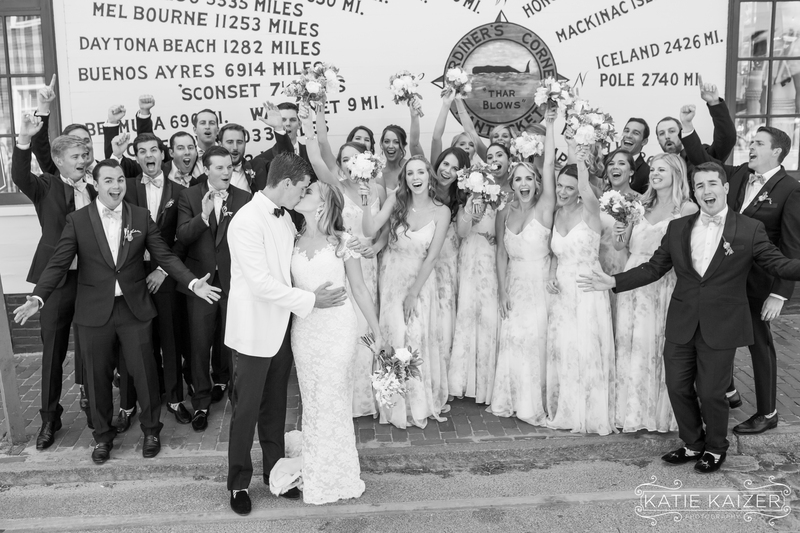 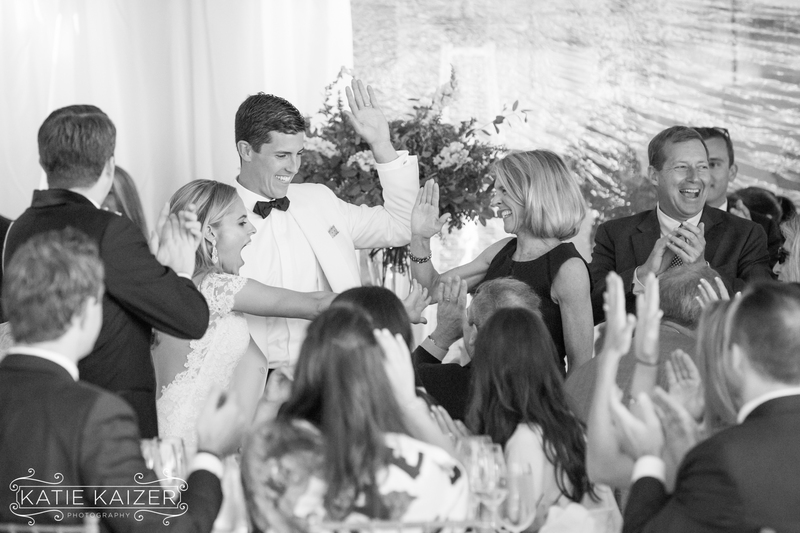 Erin and Toby were married on June 25th 2016 at The St. Mary’s Church on Nantucket. 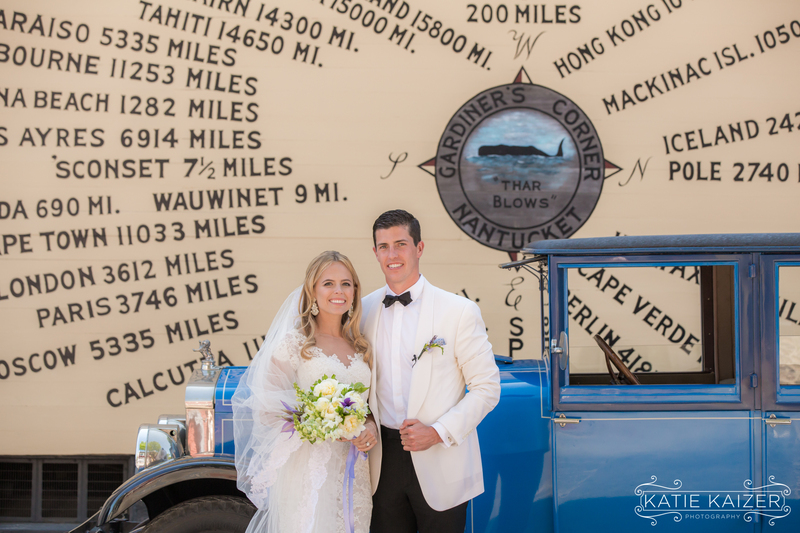 They had a gorgeous day for their wedding and we absolutely loved being part of this celebration. 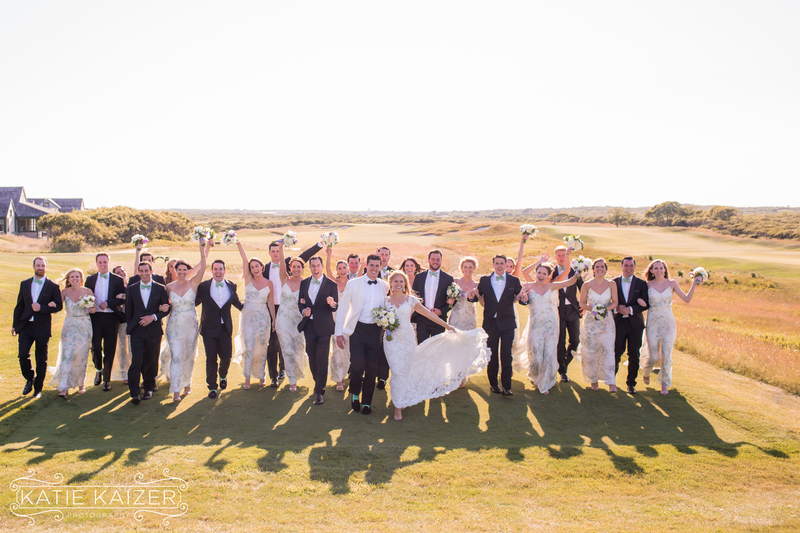 Erin and Toby have an amazing group of friends and we got to know them all very well as we photographed their bridal party of 30 people! 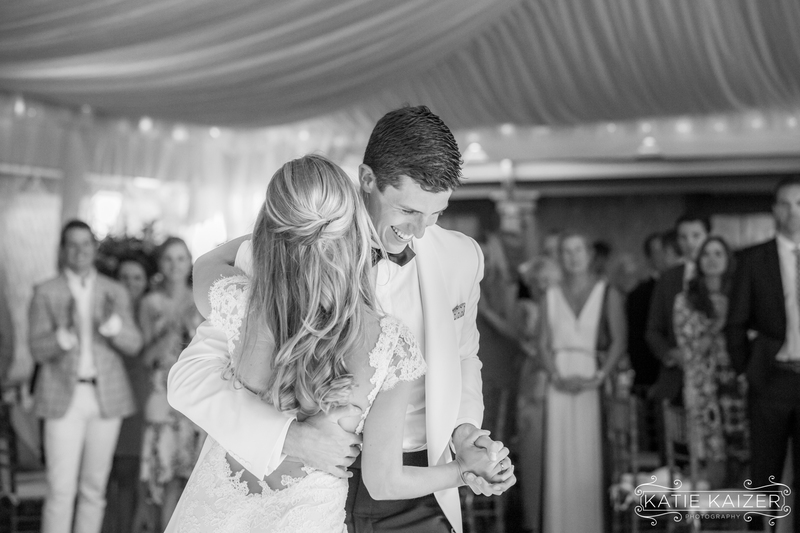 Their day was full of beautiful moments and from the getting ready photos to the very last songs on the dance floor it was very apparent that this couple is loved very much by everyone! 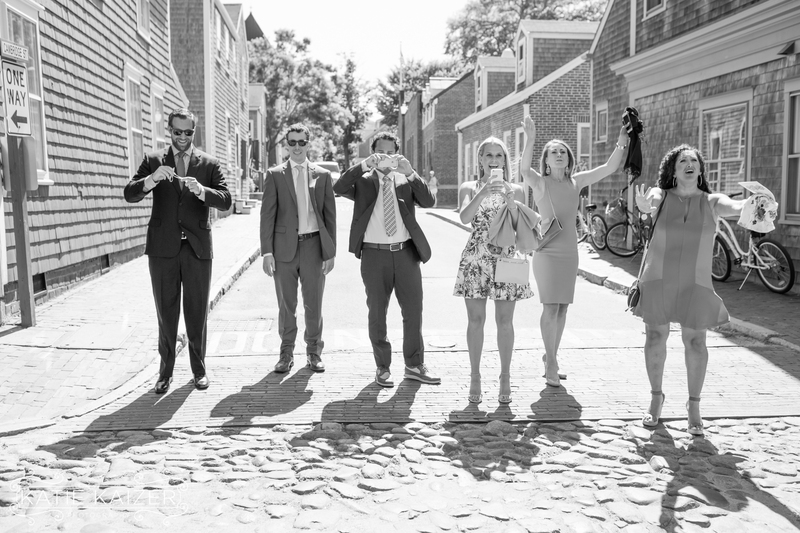 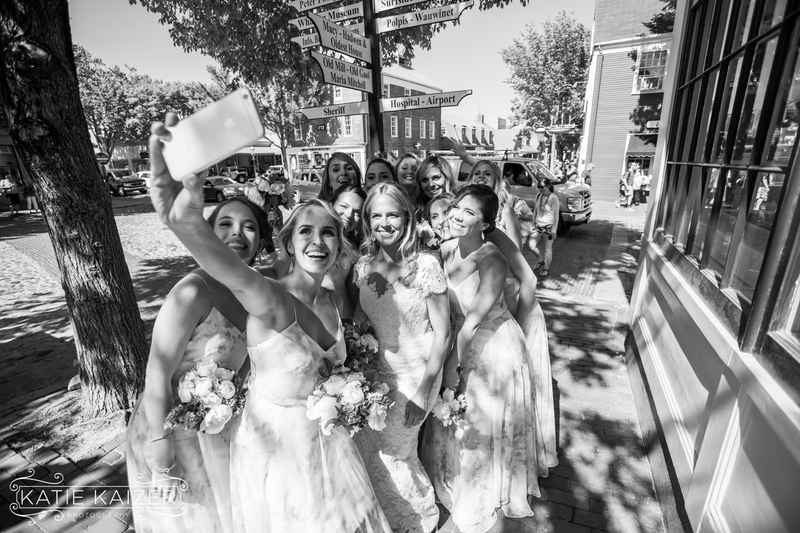 After their ceremony the couple excited the church surrounded by bubbles and proceeded to the iconic lower Main St. Compass for a few fun photos with their bridal party! 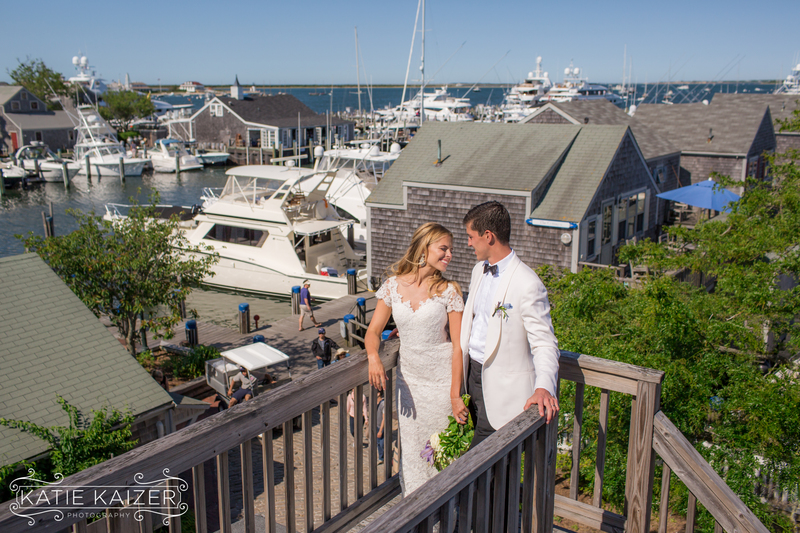 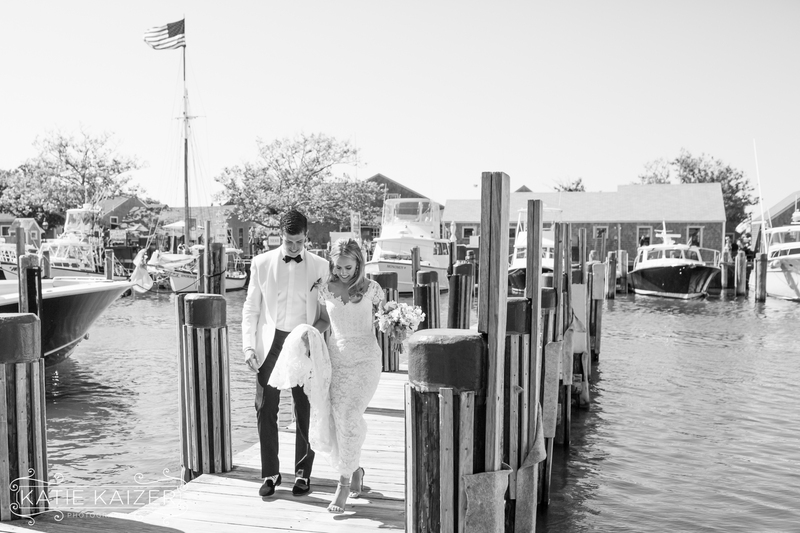 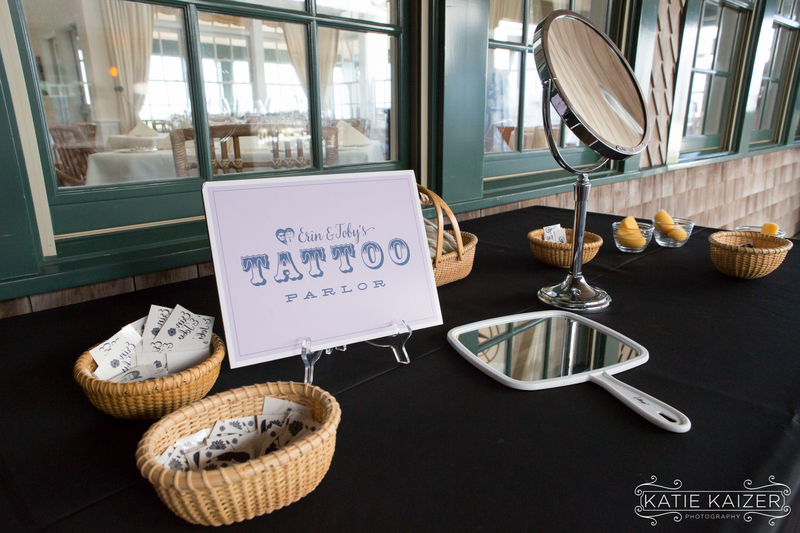 After that we went for a stroll on the docks, and then out to the Nantucket Golf Club for their Reception. 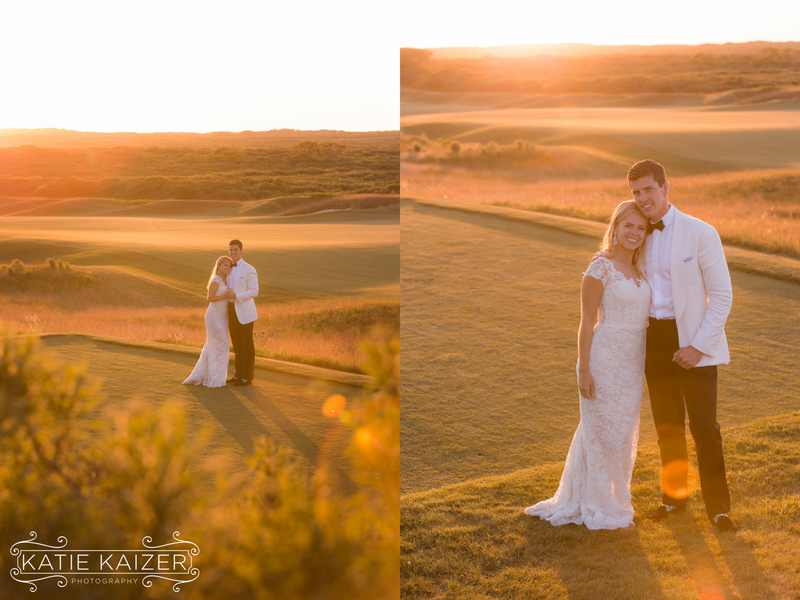 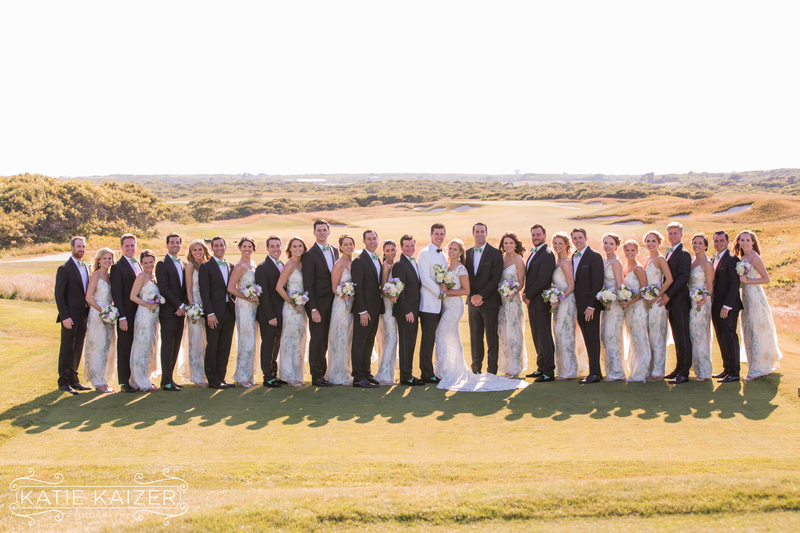 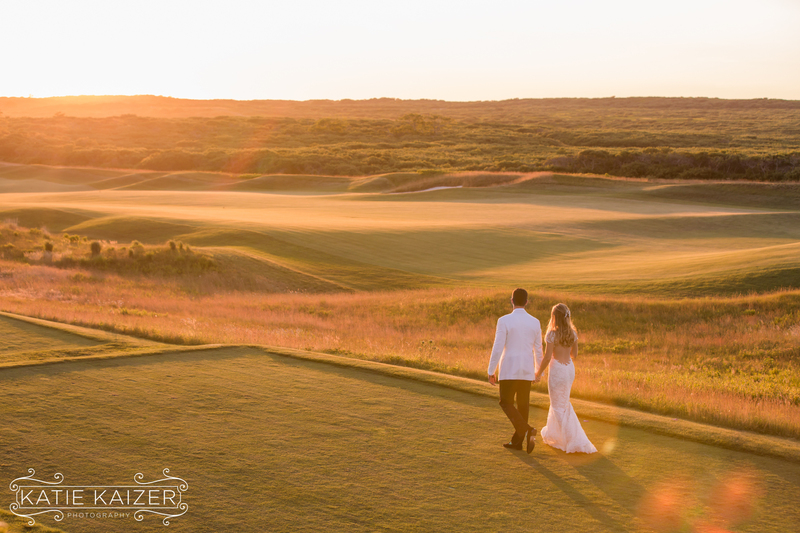 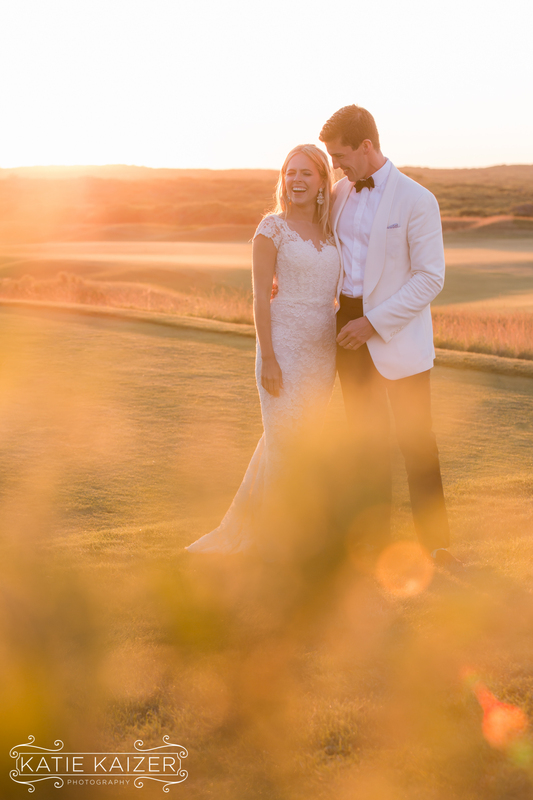 They enjoyed a lovely evening with a stunning golden light over the golf course. 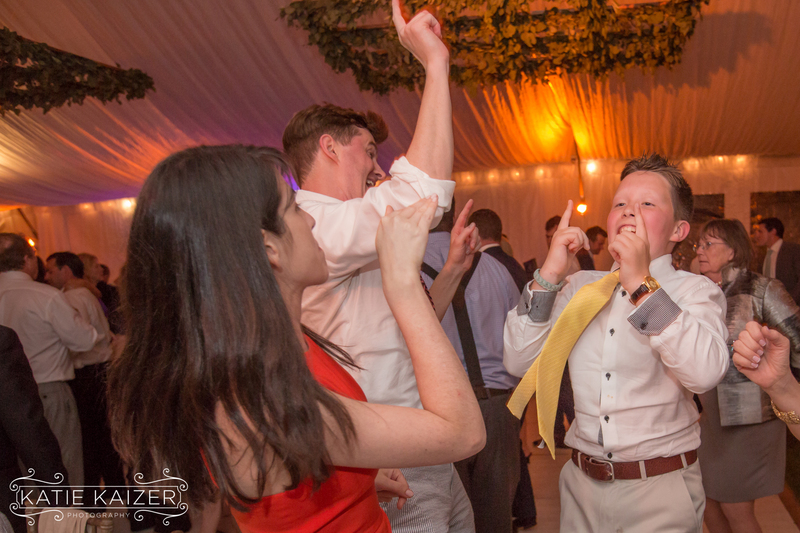 Later in the evening The Sultan’s of Swing had everyone dancing the night away! 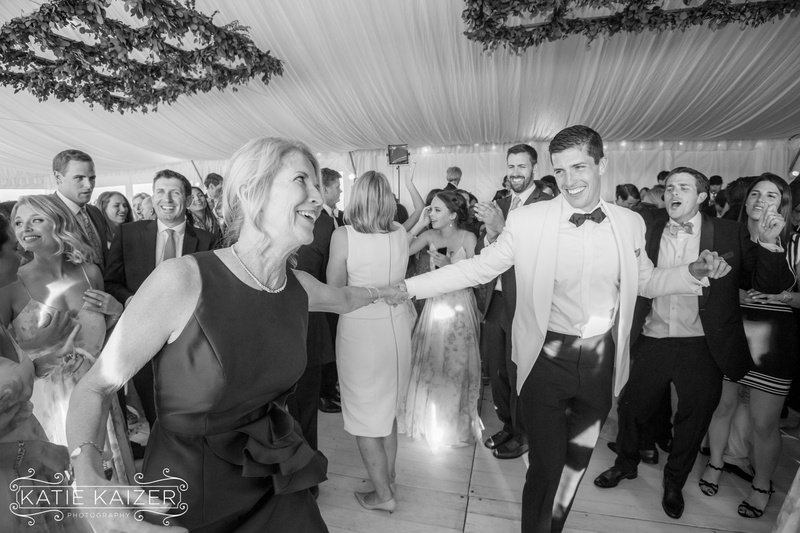 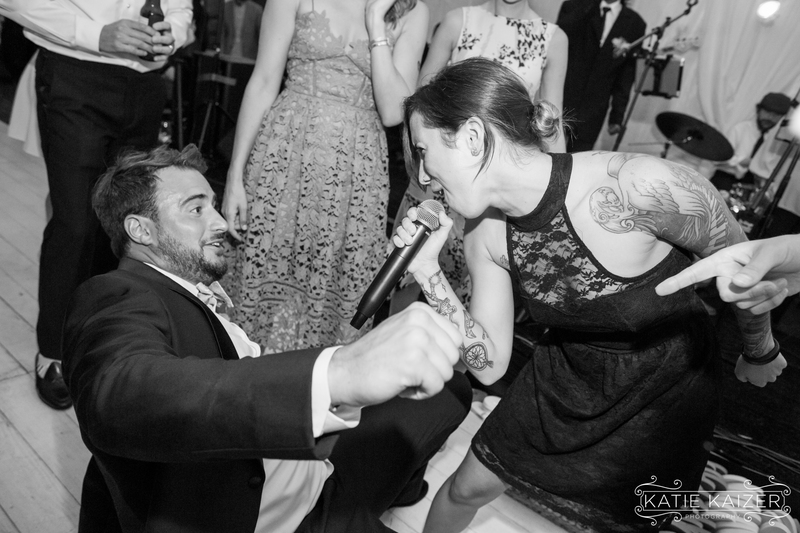 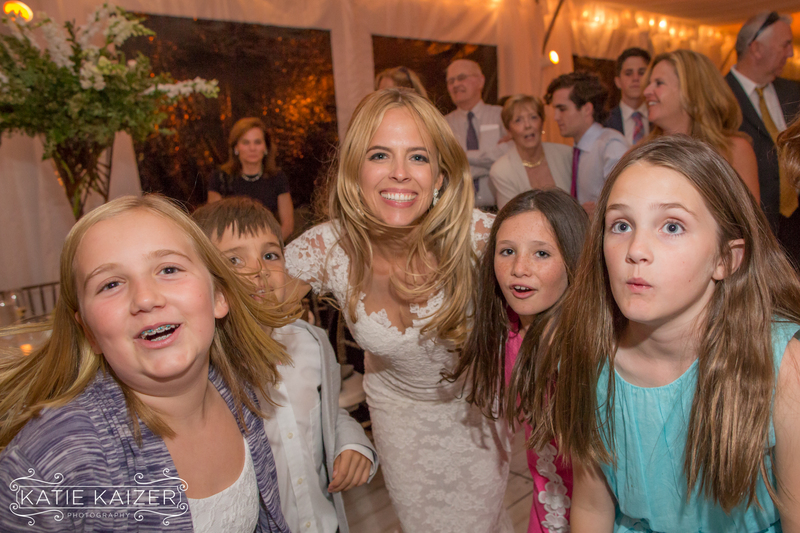 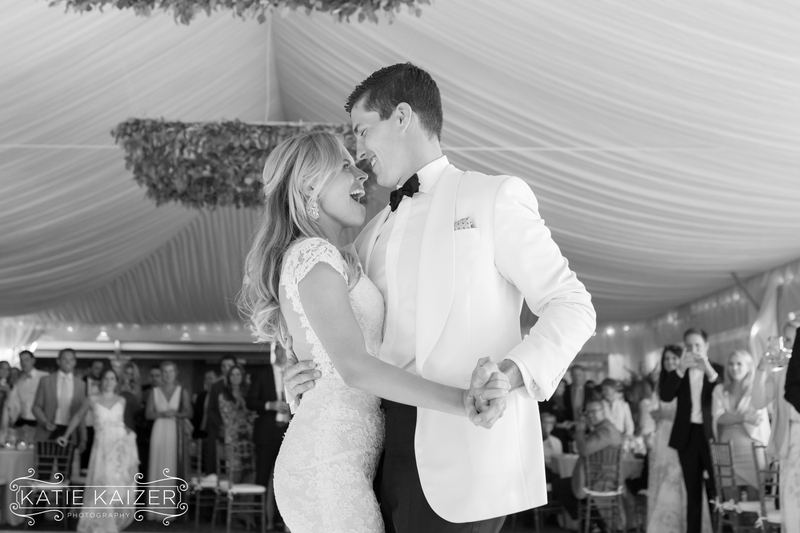 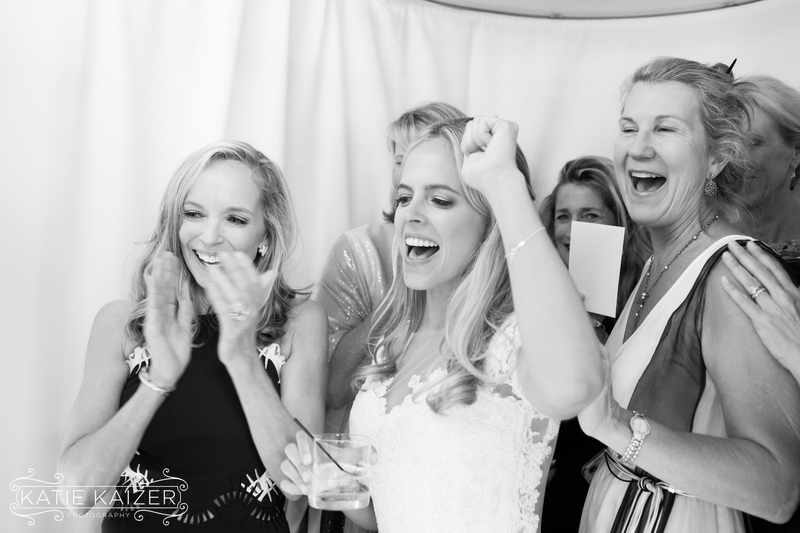 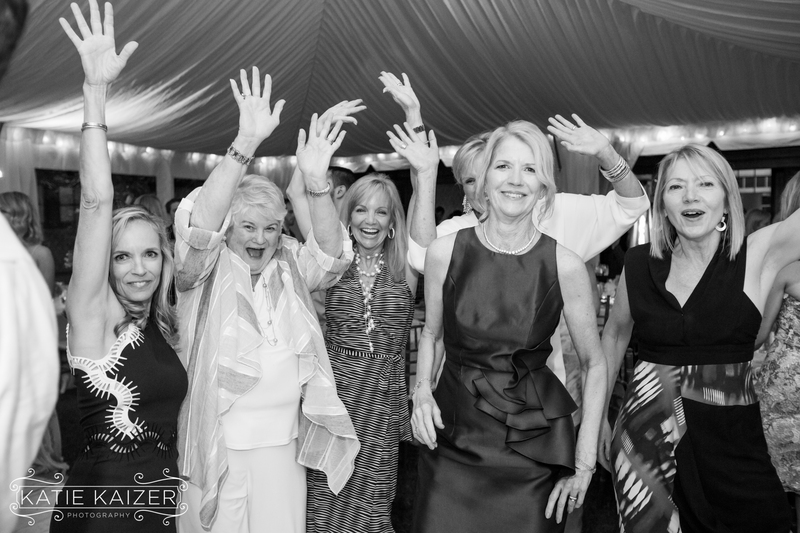 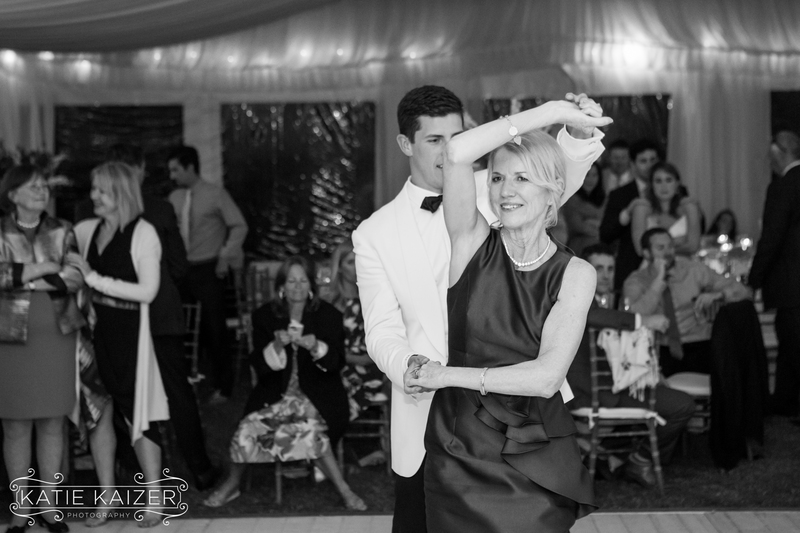 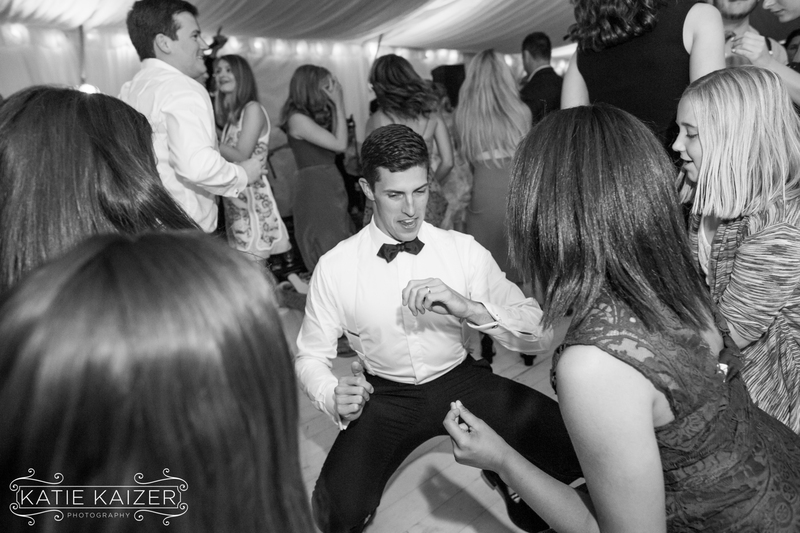 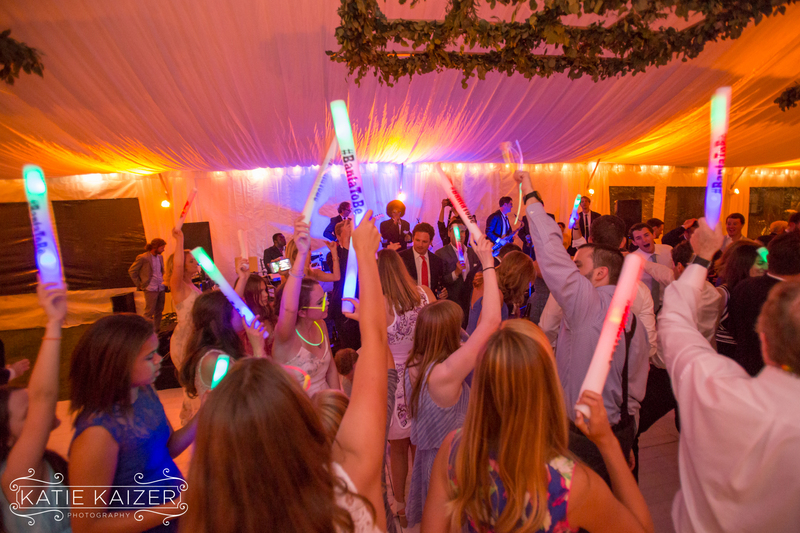 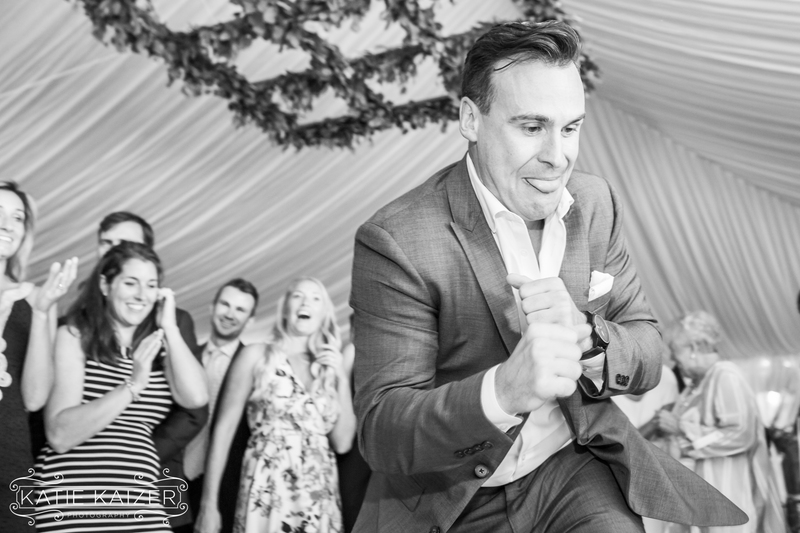 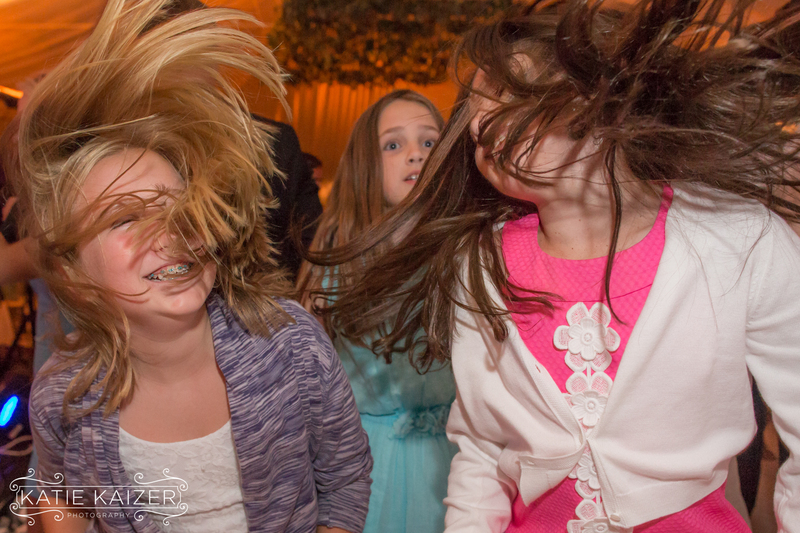 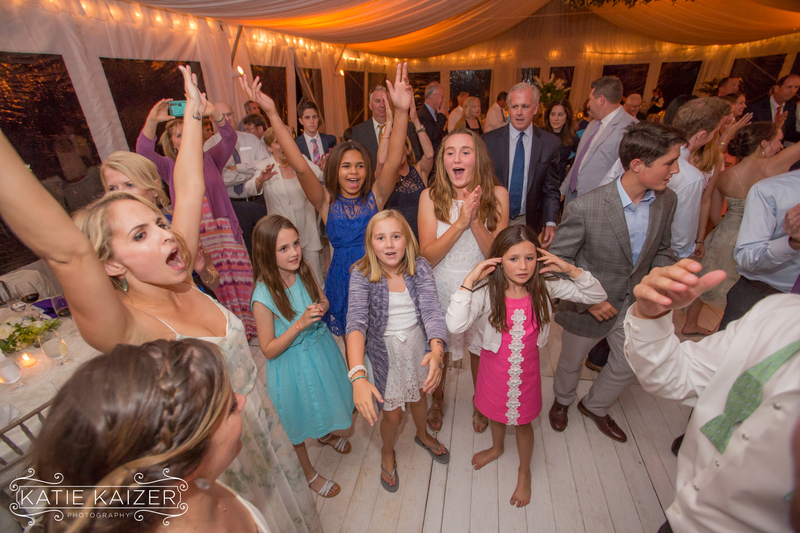 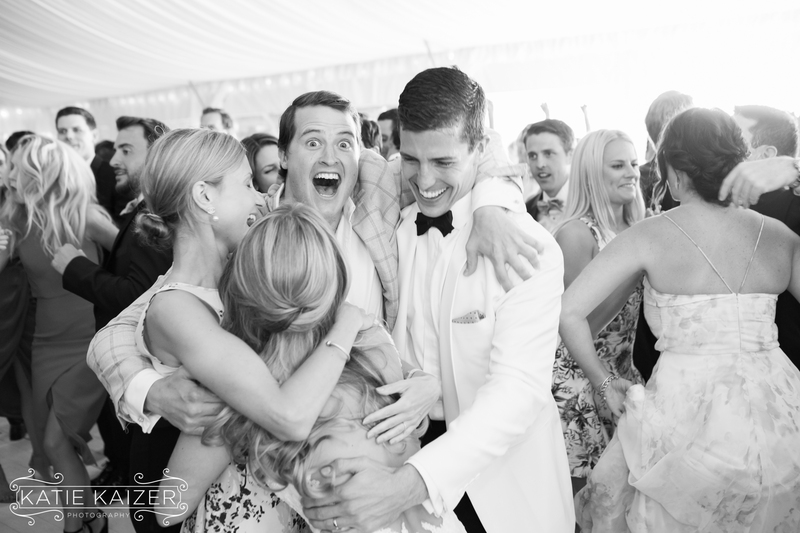 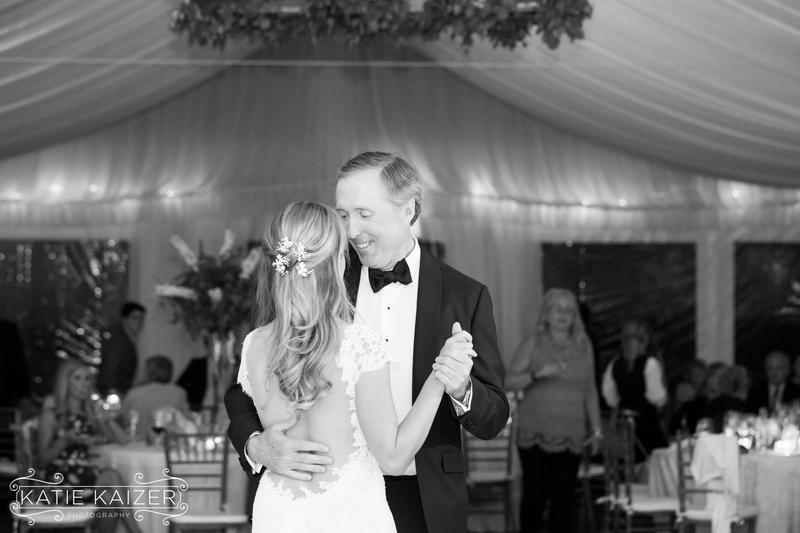 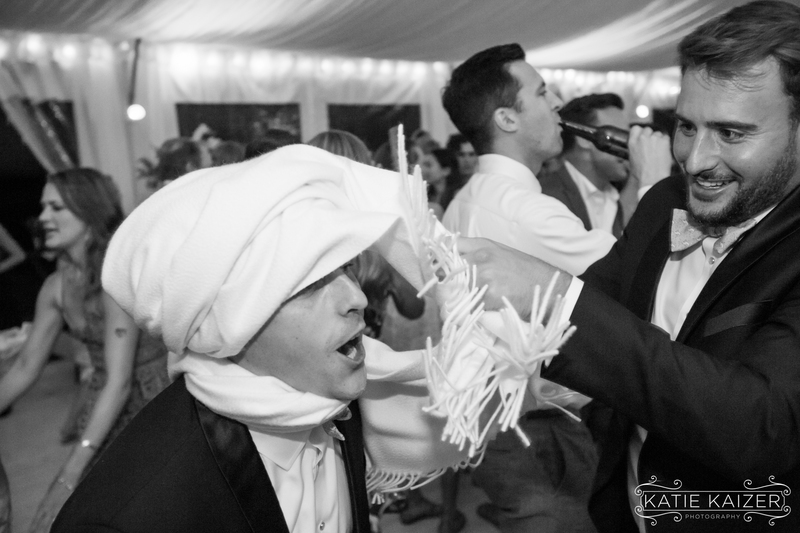 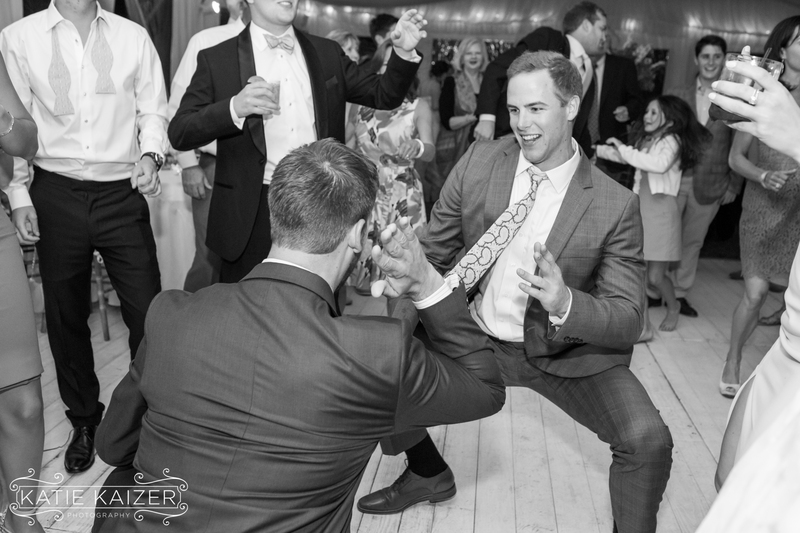 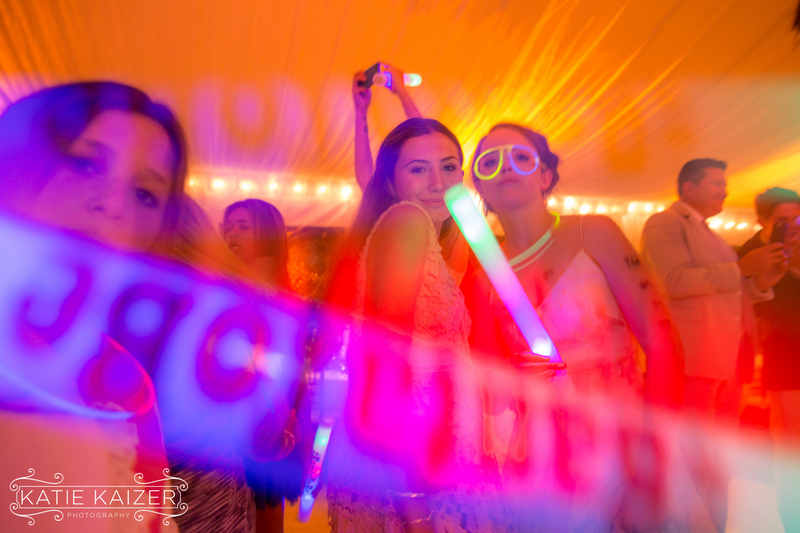 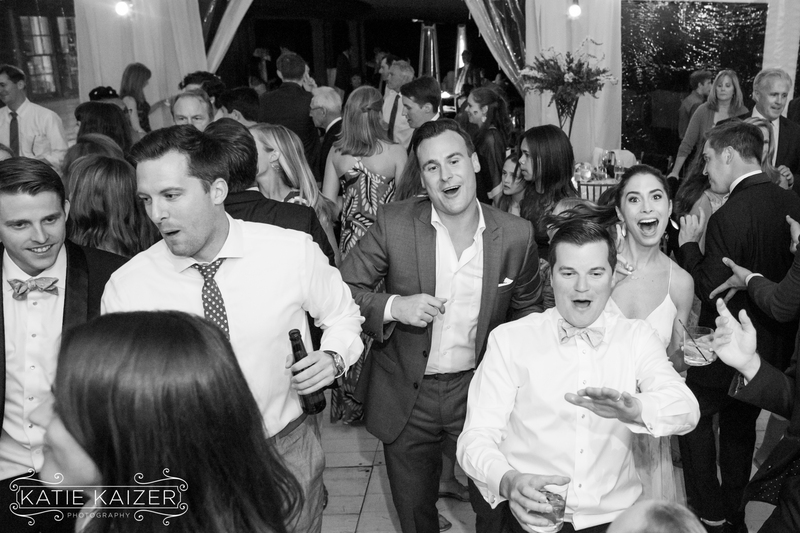 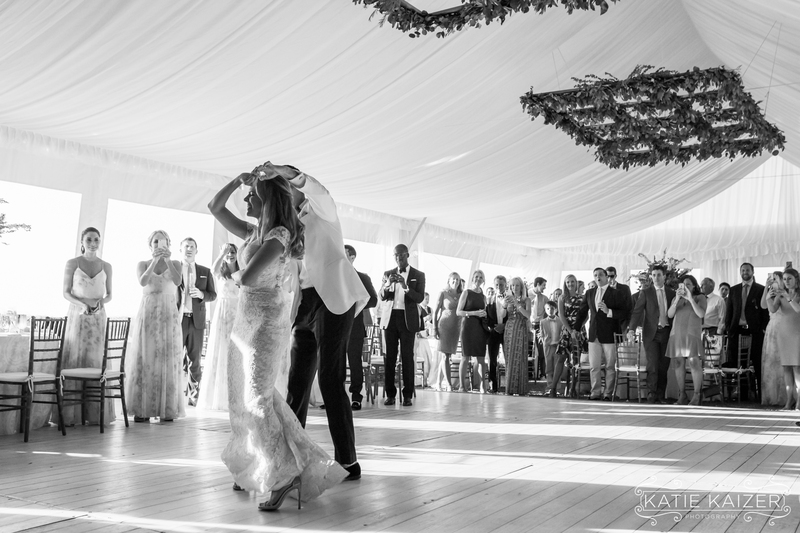 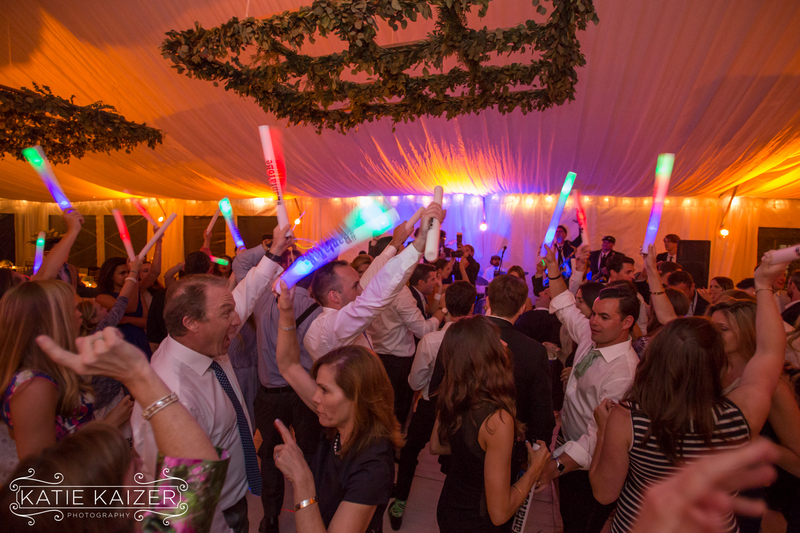 We loved photographing this dance party! 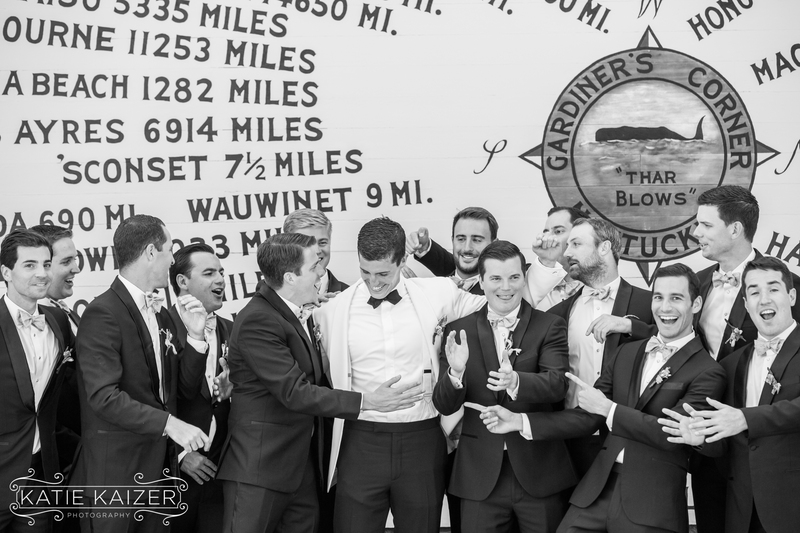 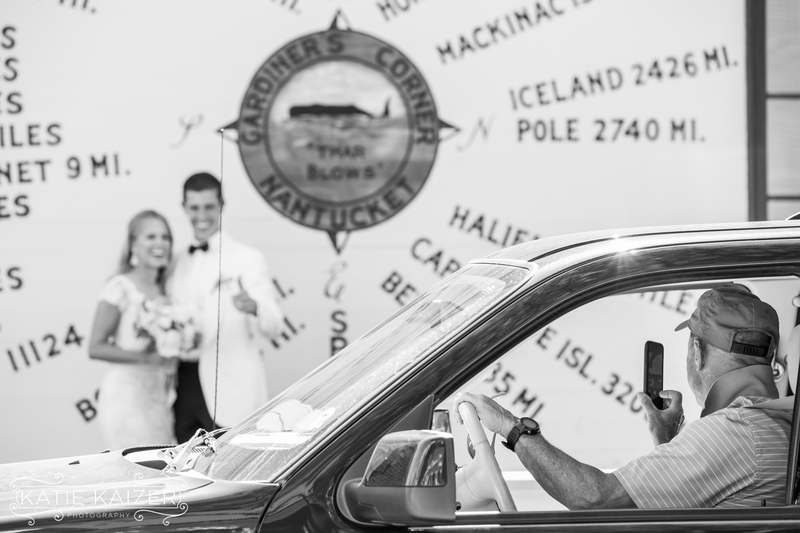 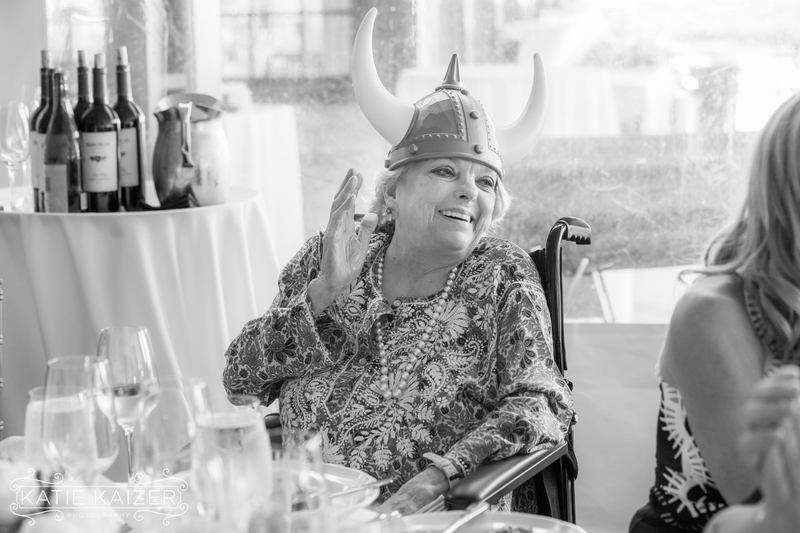 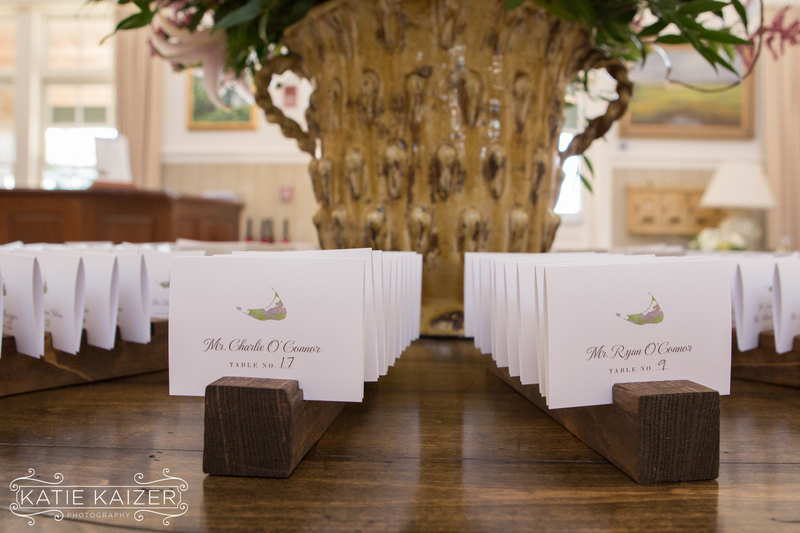 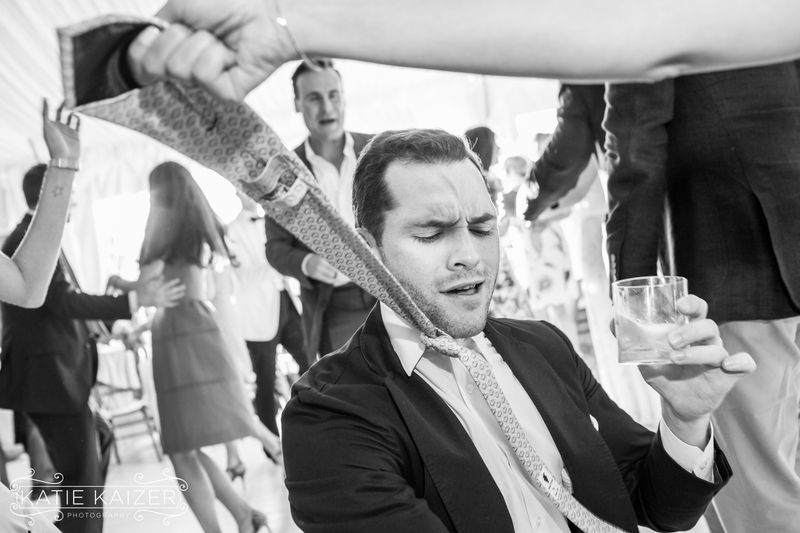 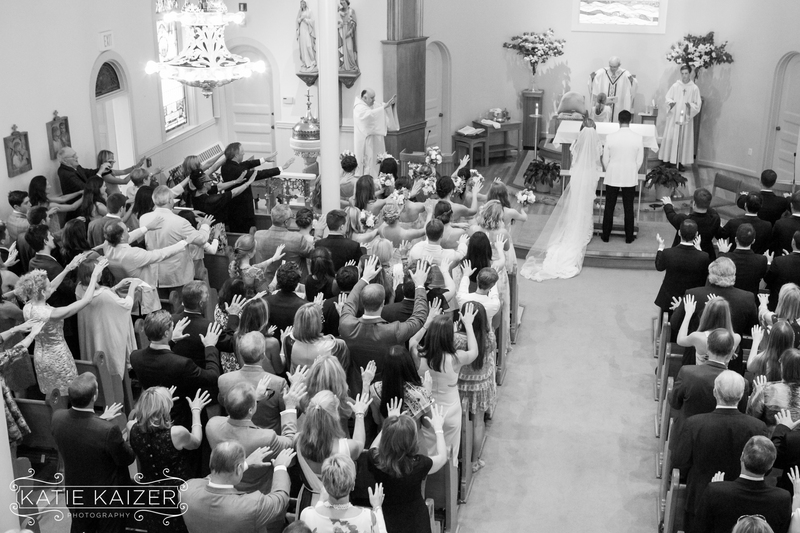 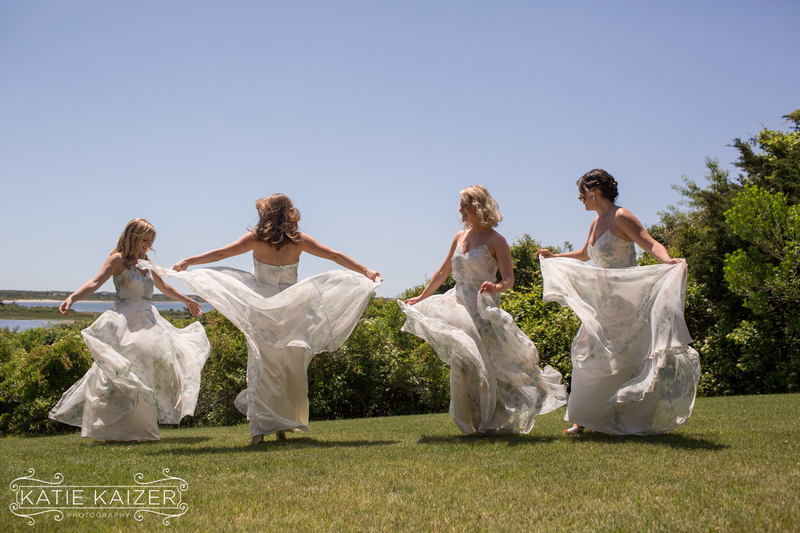 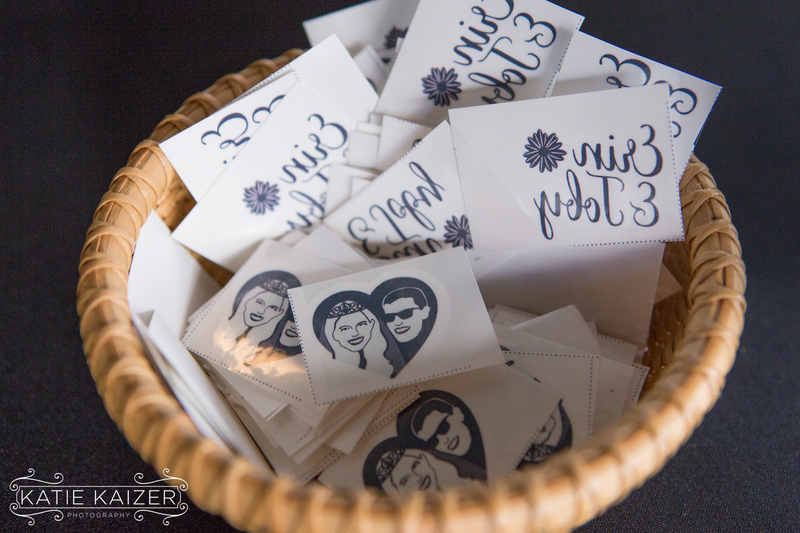 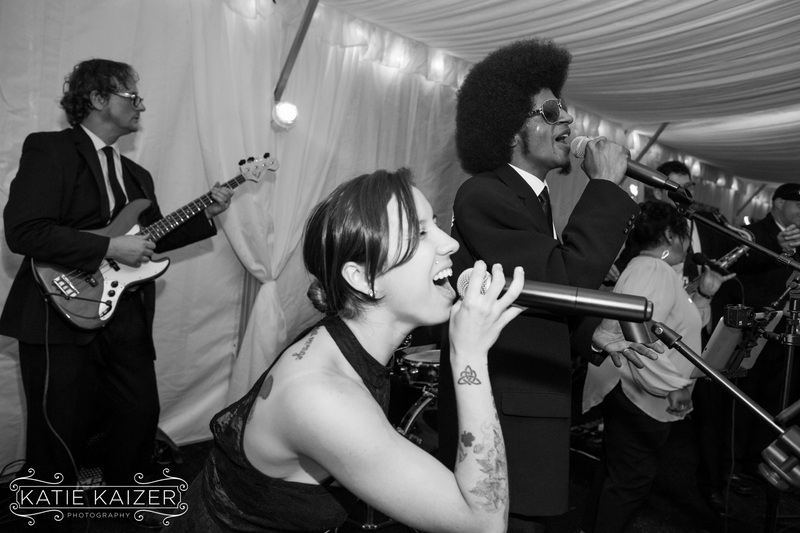 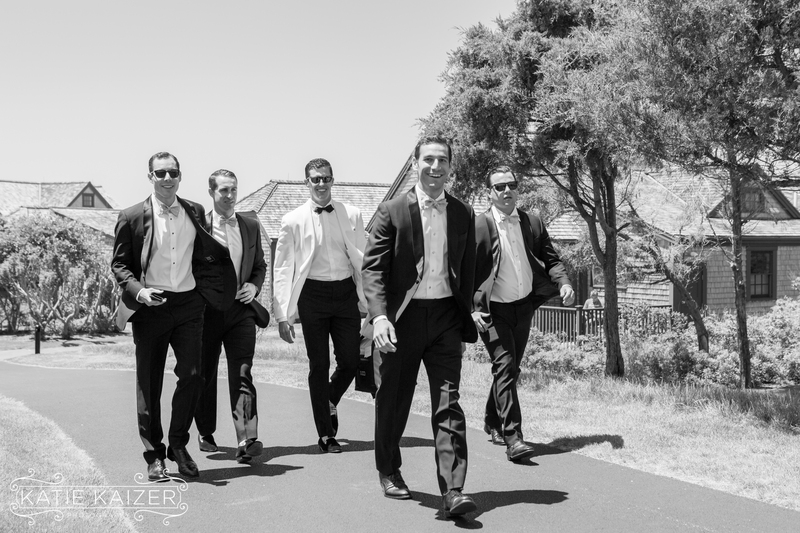 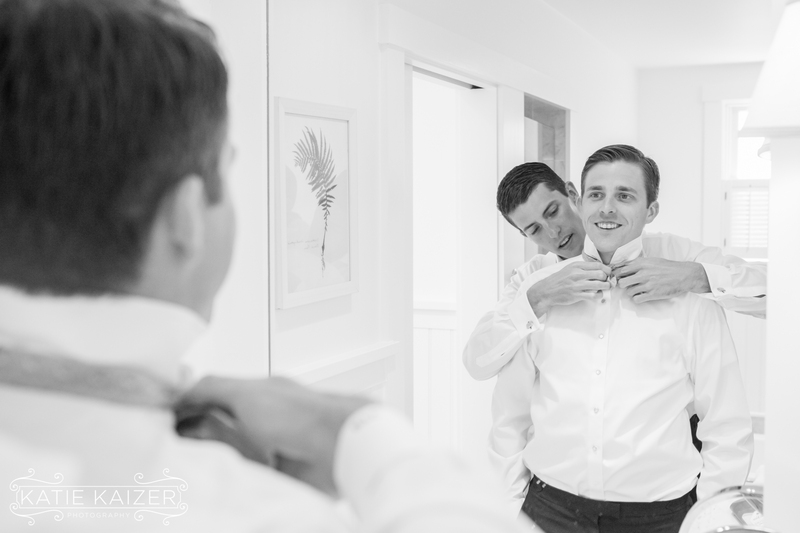 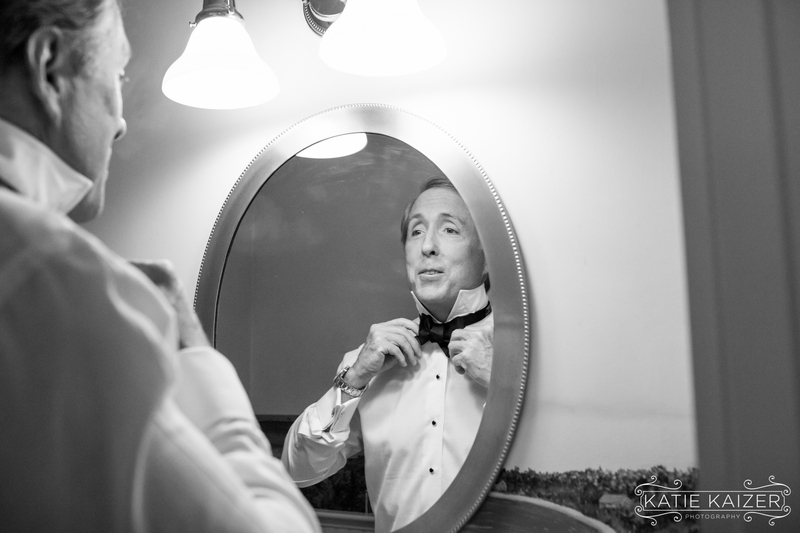 Special thanks to Cary Tozer for joining me to shoot this wedding! 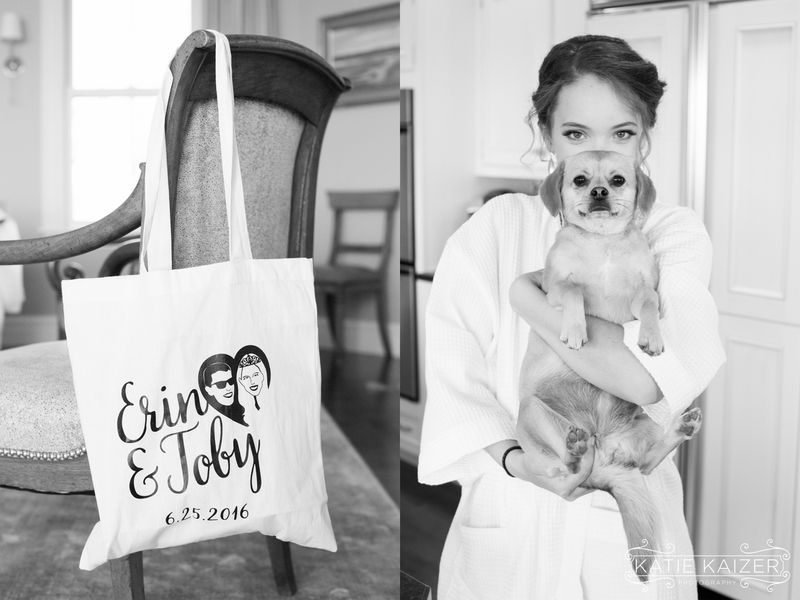 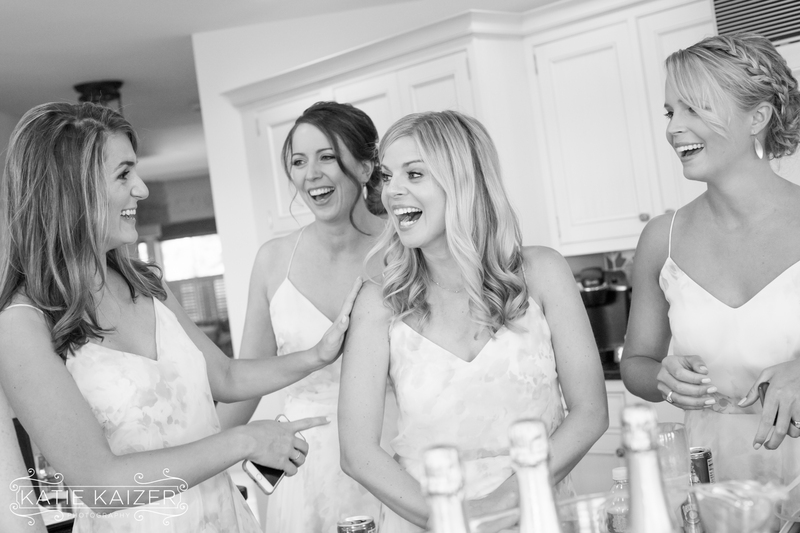 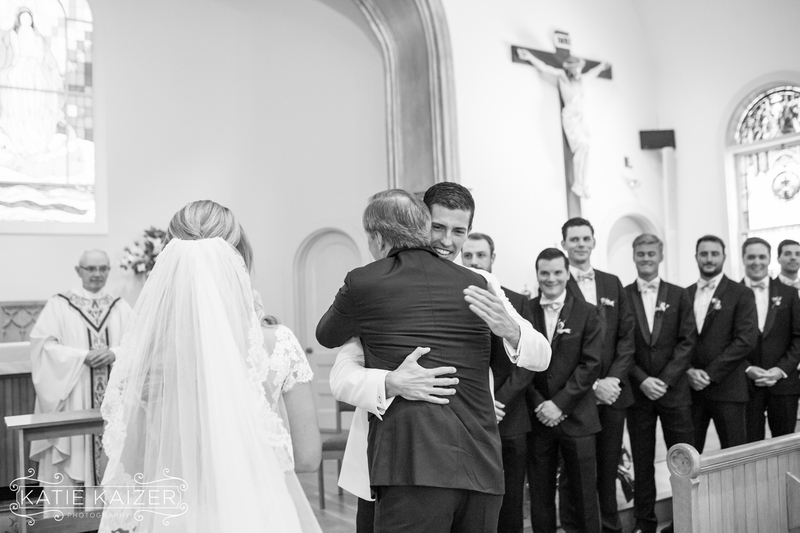 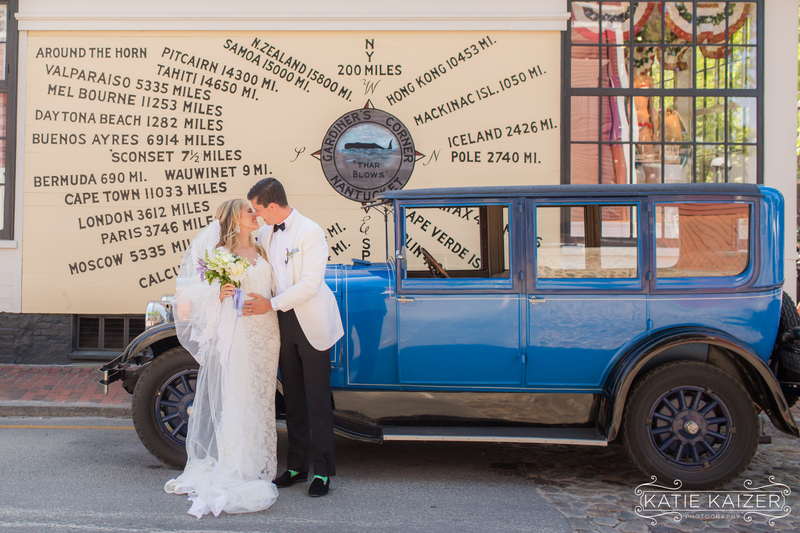 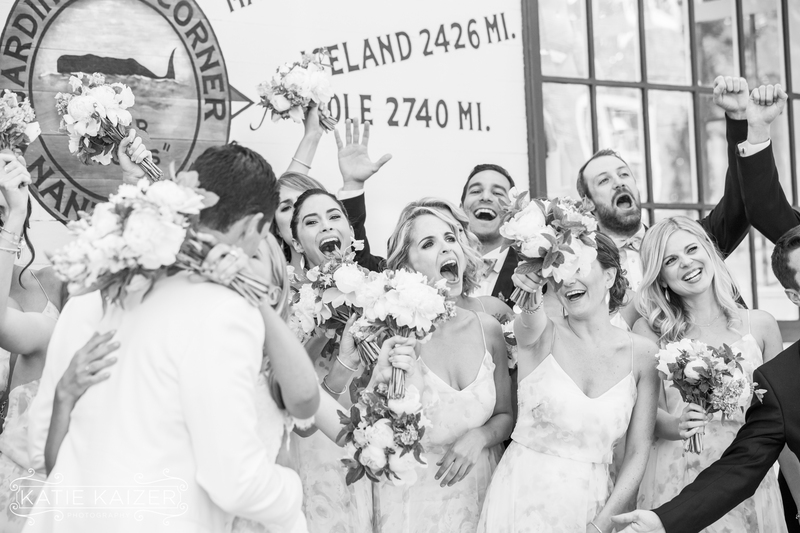 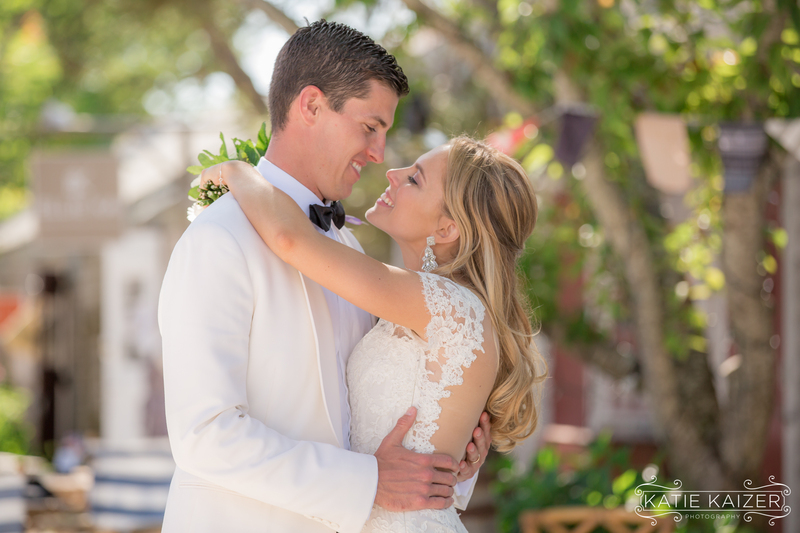 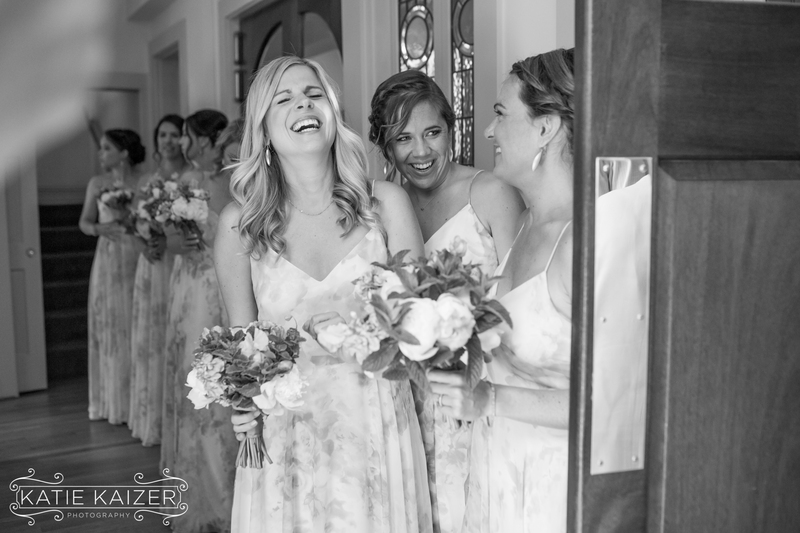 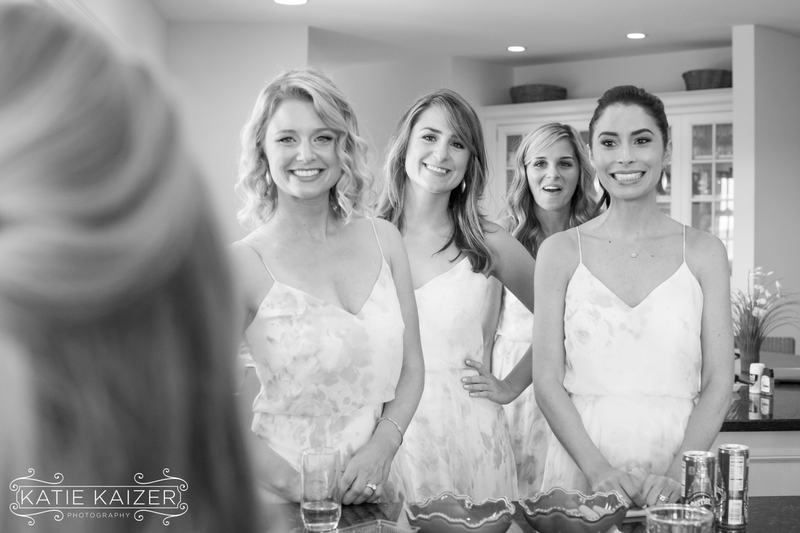 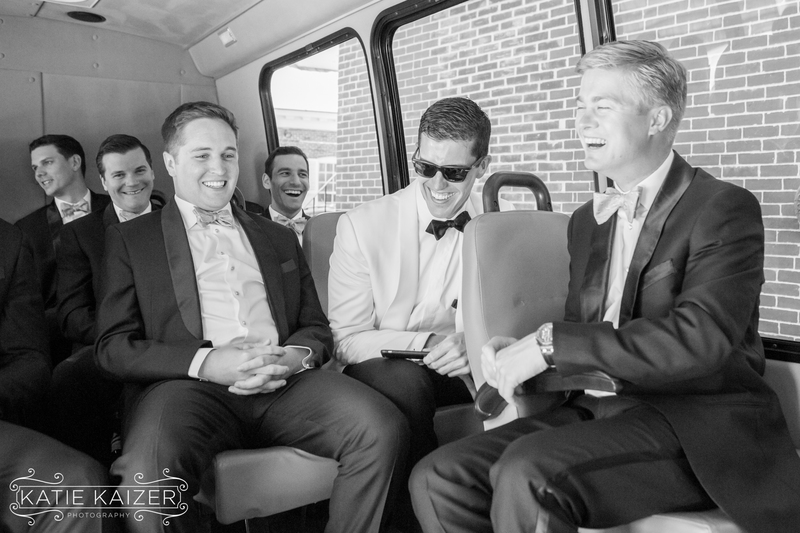 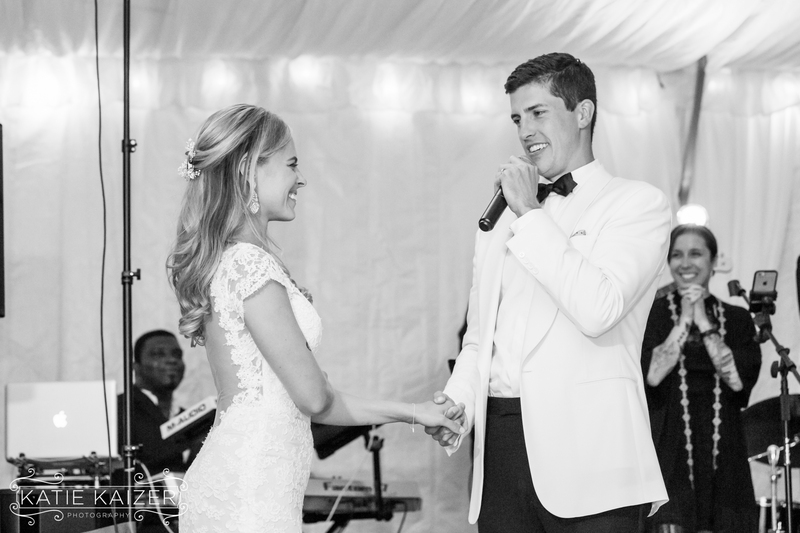 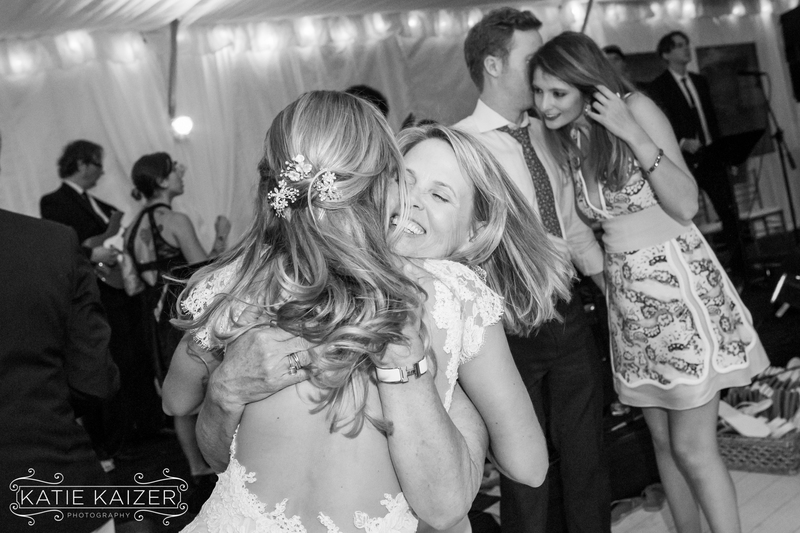 Erin and Toby’s special day was full of smiles, laughter and so many beautiful moments! 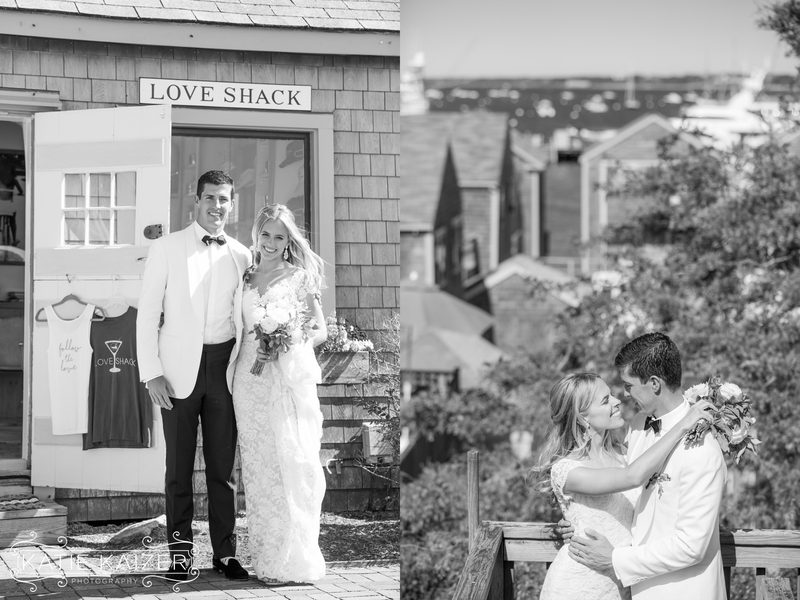 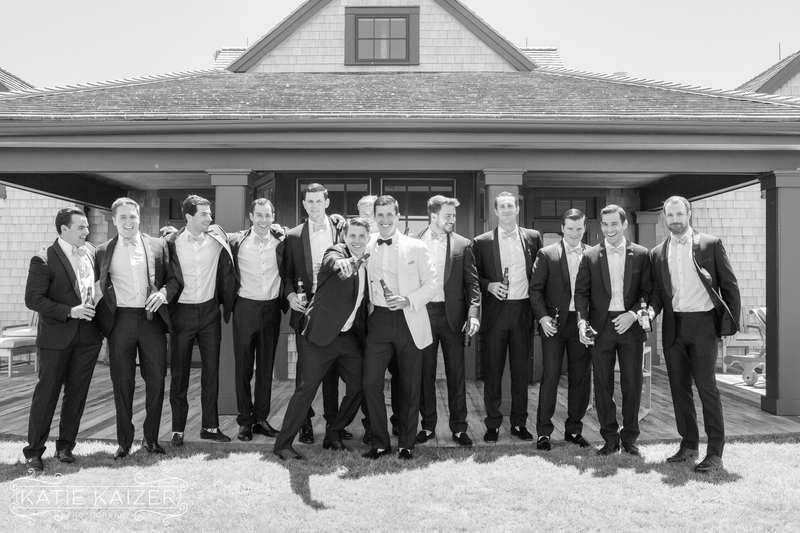 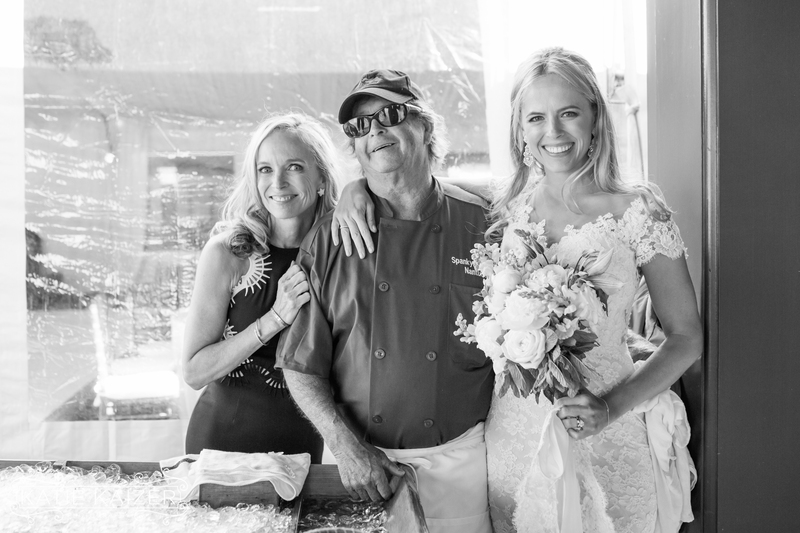 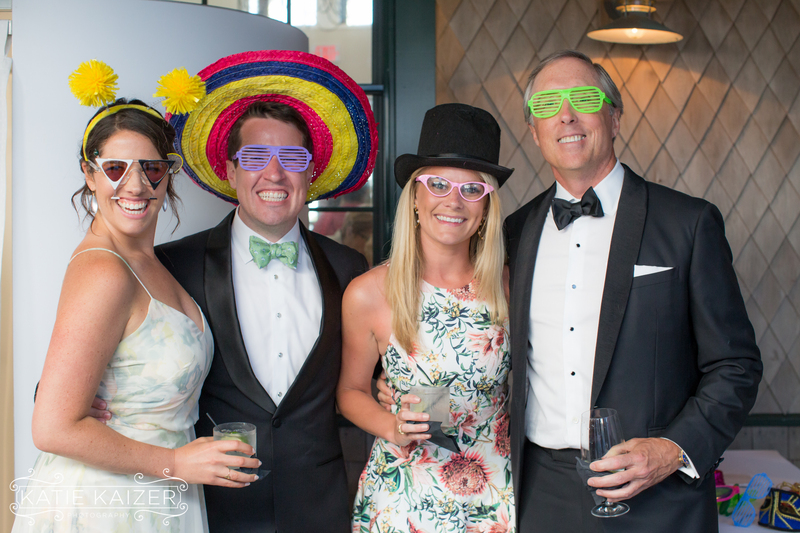 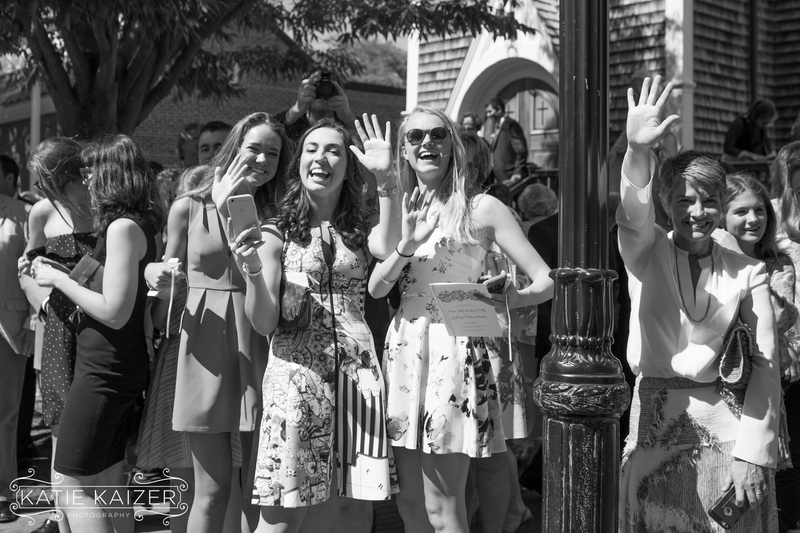 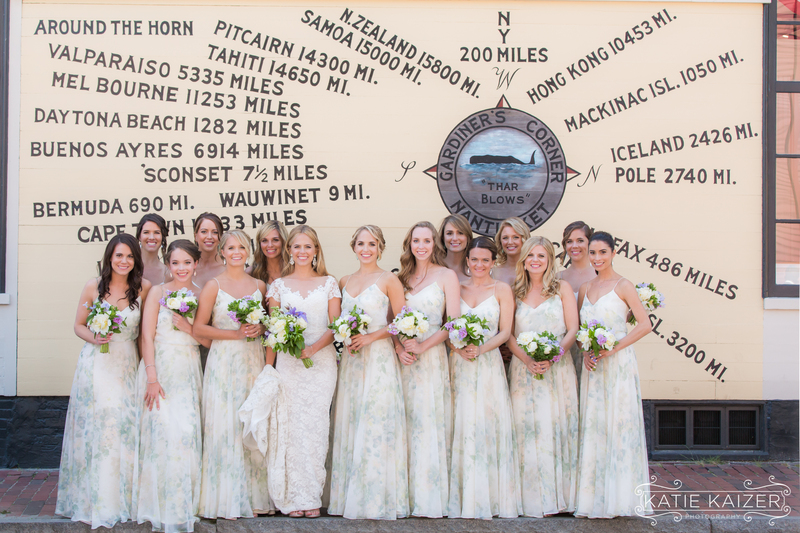 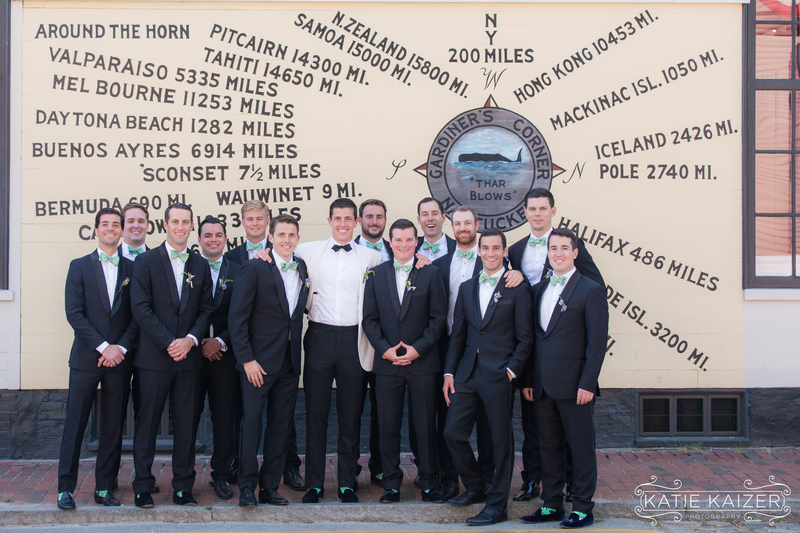 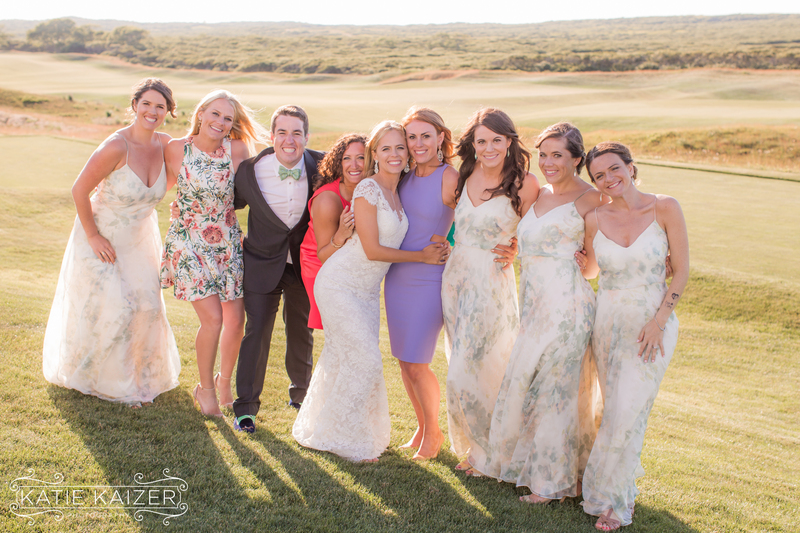 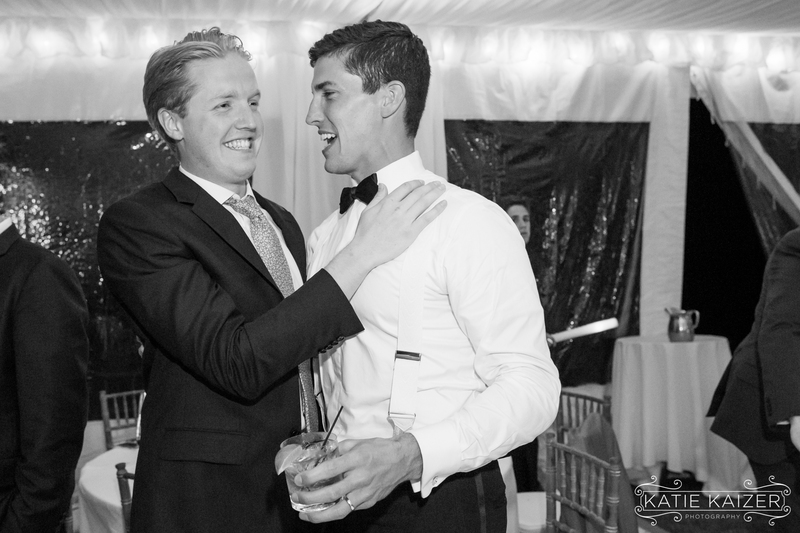 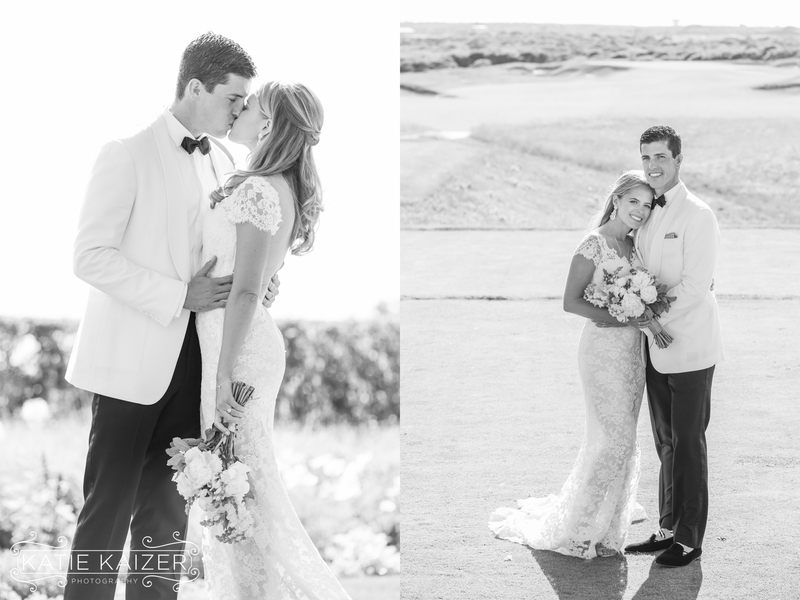 We are wishing them all the best and looking forward to seeing them around Nantucket soon!